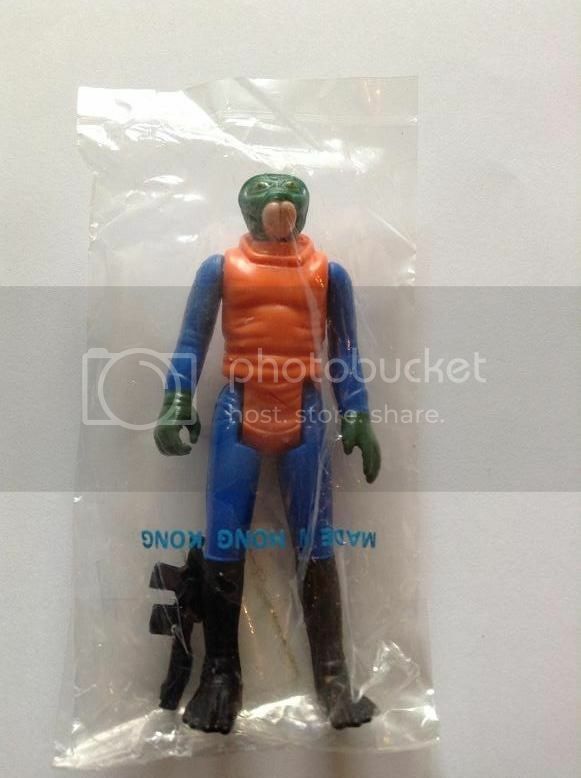 Last edited by Frunkstar on Mon Sep 21, 2015 8:43 pm, edited 1 time in total. 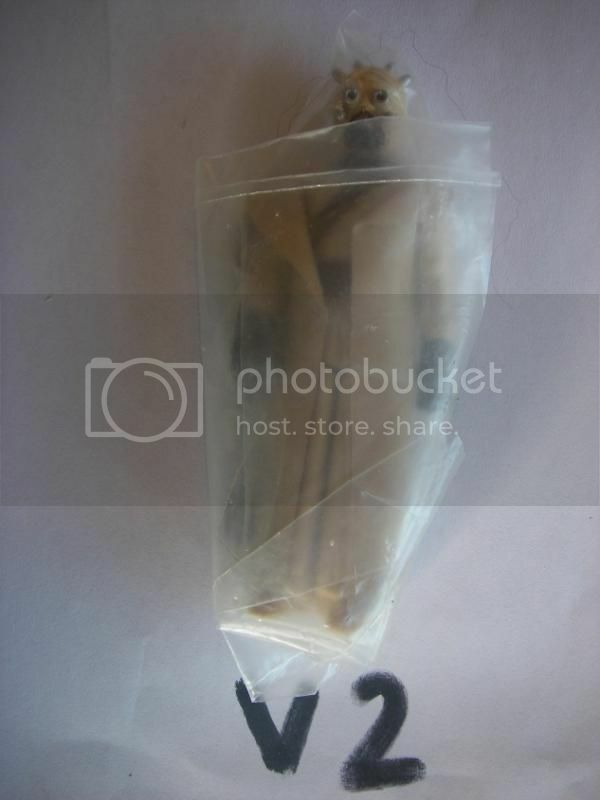 Last edited by Frunkstar on Fri Jan 27, 2017 11:42 pm, edited 3 times in total. 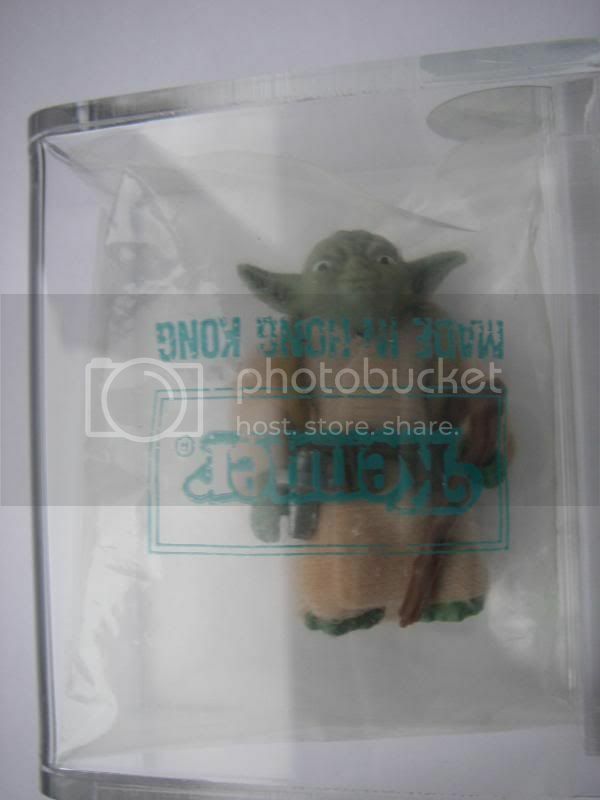 Last edited by Frunkstar on Mon Sep 21, 2015 10:57 pm, edited 3 times in total. 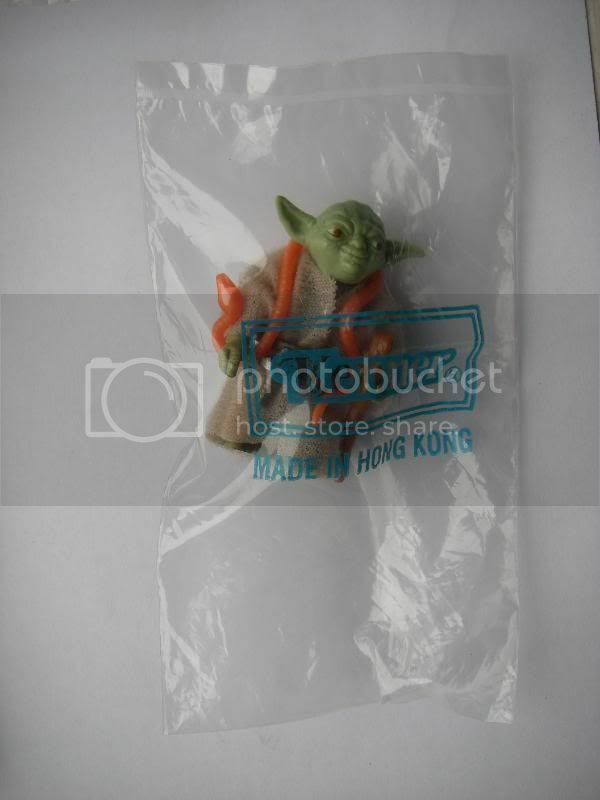 Last edited by Frunkstar on Mon Jan 30, 2017 12:05 am, edited 7 times in total. 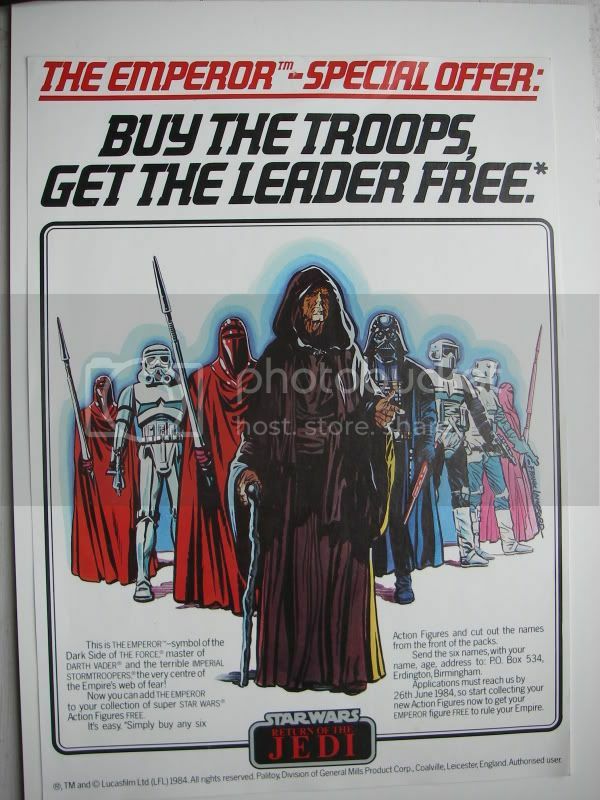 Note not a single one with purple smok! 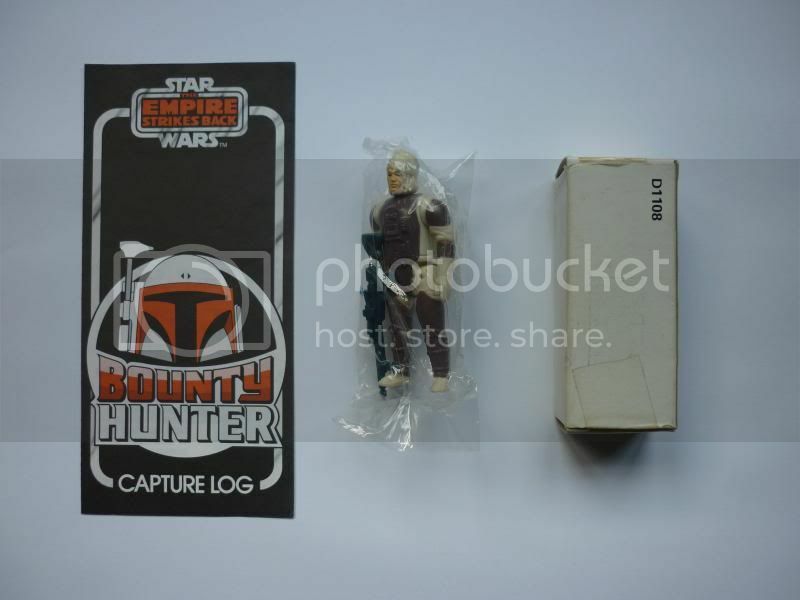 Last edited by Frunkstar on Sun Sep 20, 2015 8:24 pm, edited 2 times in total. 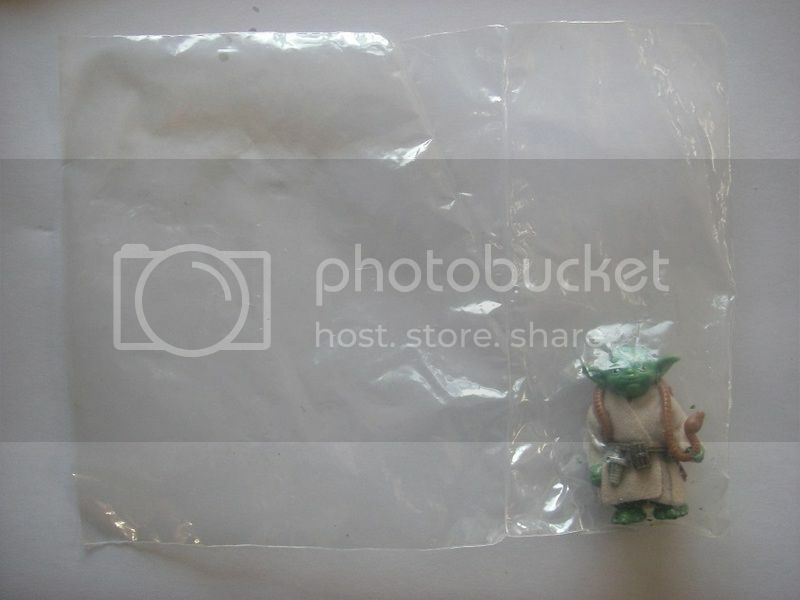 SW-e Factory error (no text), baggie & seal type as well as the figure coo/paint apps are a perfect match, so I can only assume this bag did not have any print at the time of being packed, maybe just cut in between prints, or so. 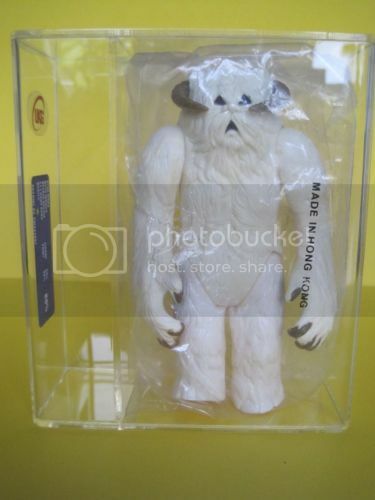 Last edited by Frunkstar on Tue May 08, 2018 11:48 pm, edited 9 times in total. 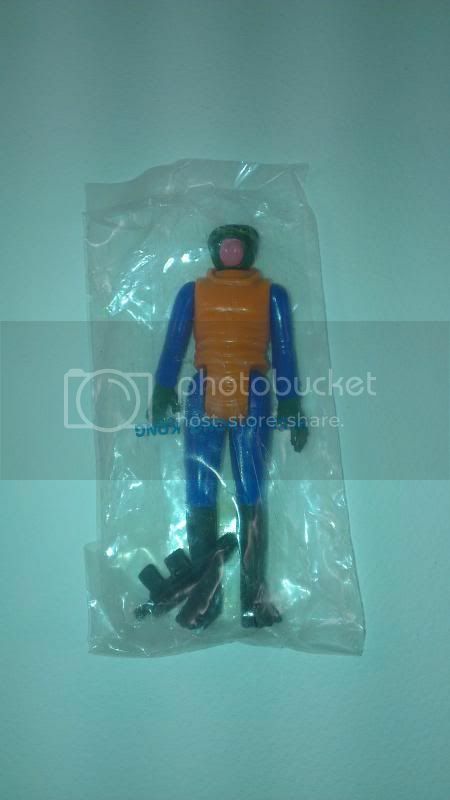 Last edited by Frunkstar on Fri Jan 27, 2017 11:46 pm, edited 2 times in total. 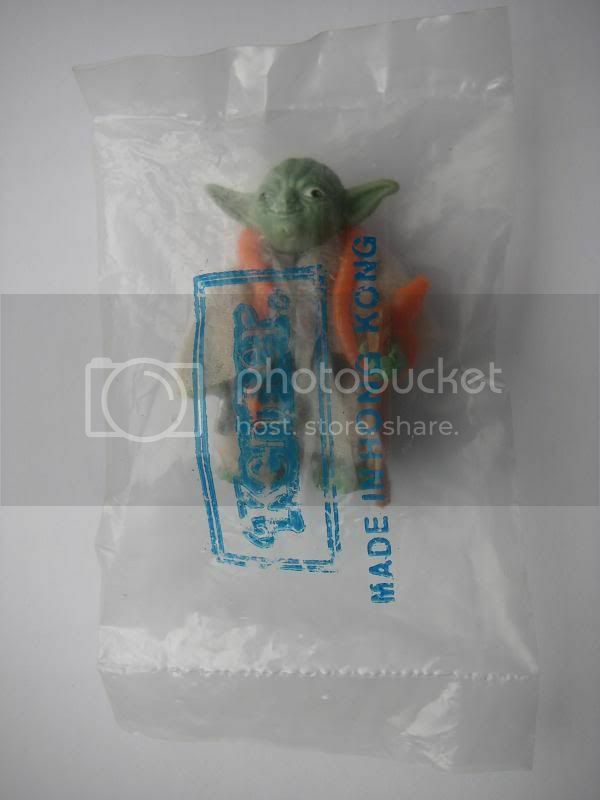 Last edited by Frunkstar on Mon Jan 30, 2017 12:14 am, edited 6 times in total. 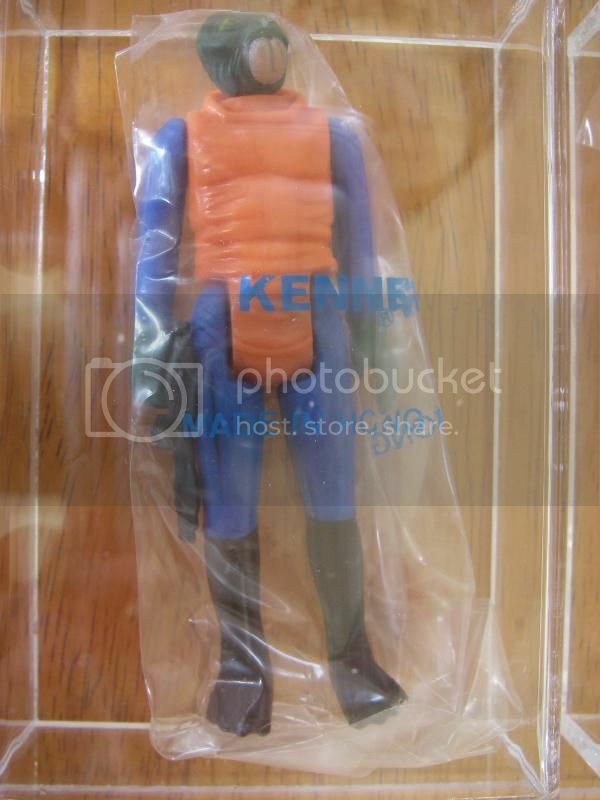 Last edited by Frunkstar on Sat Jan 28, 2017 1:50 am, edited 2 times in total. 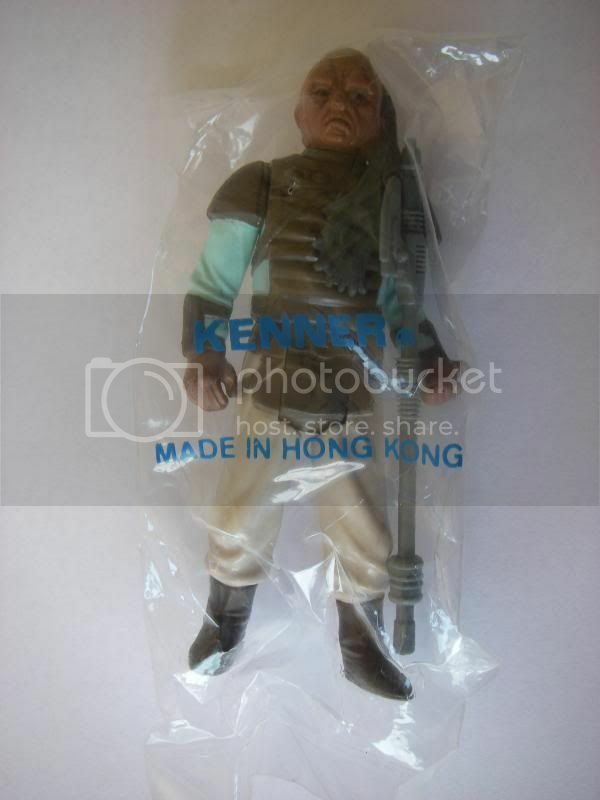 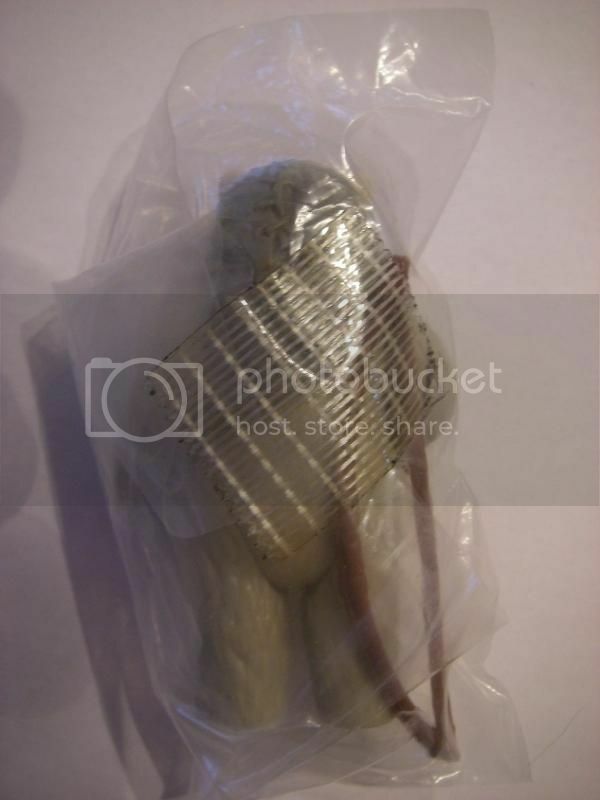 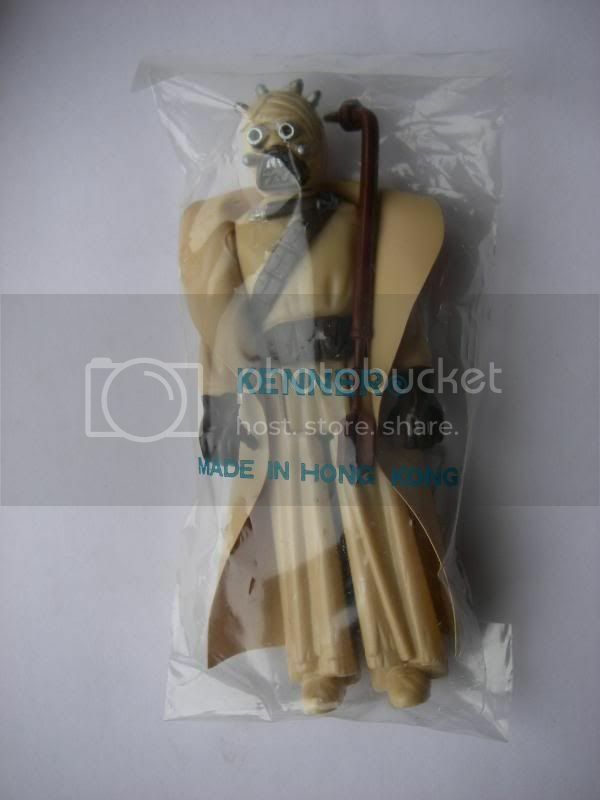 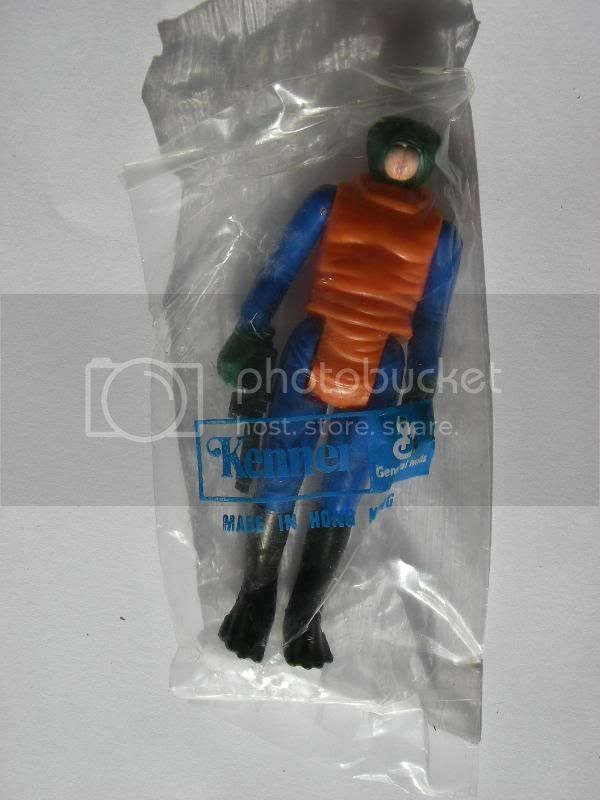 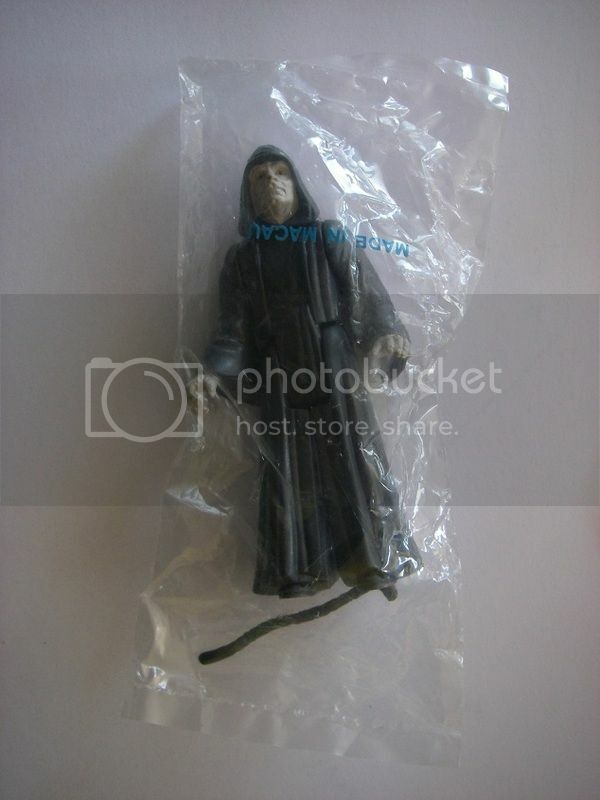 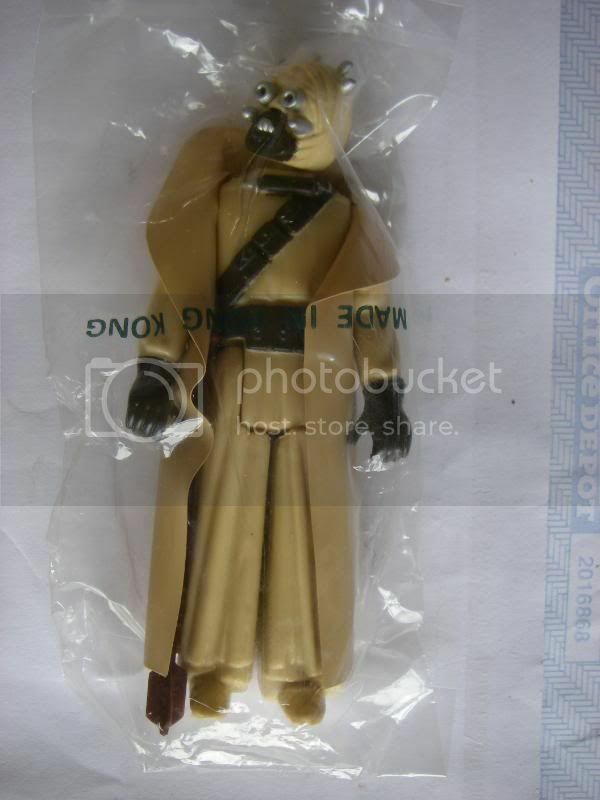 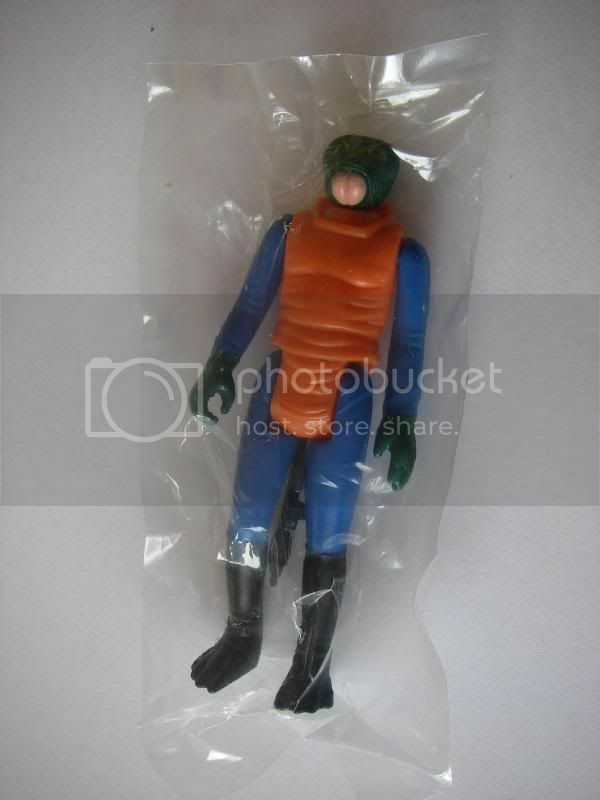 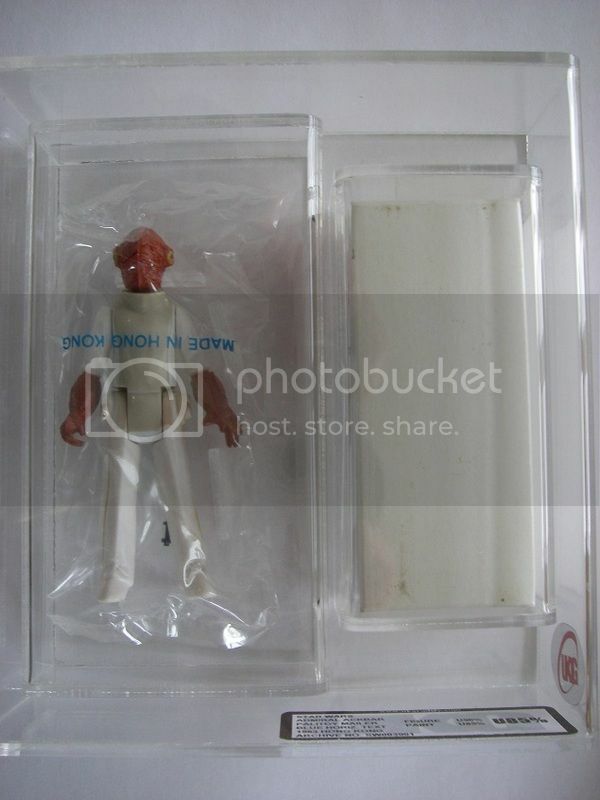 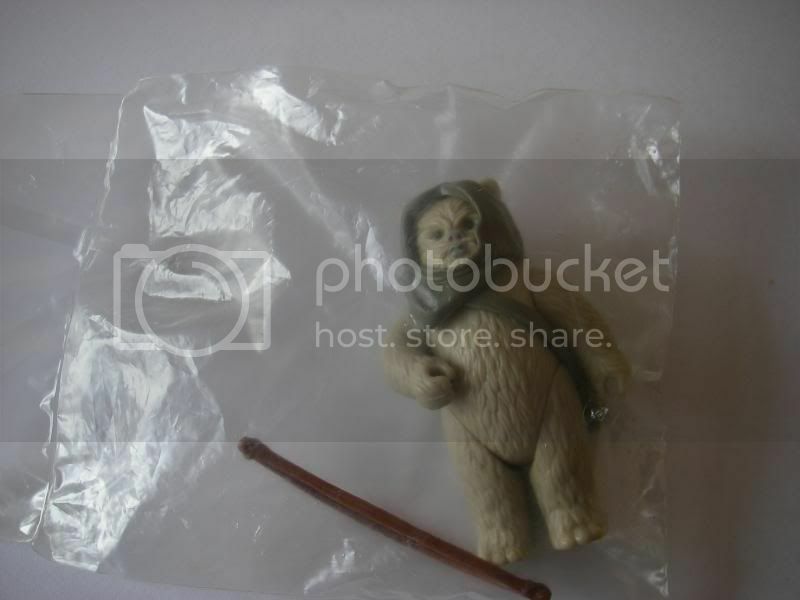 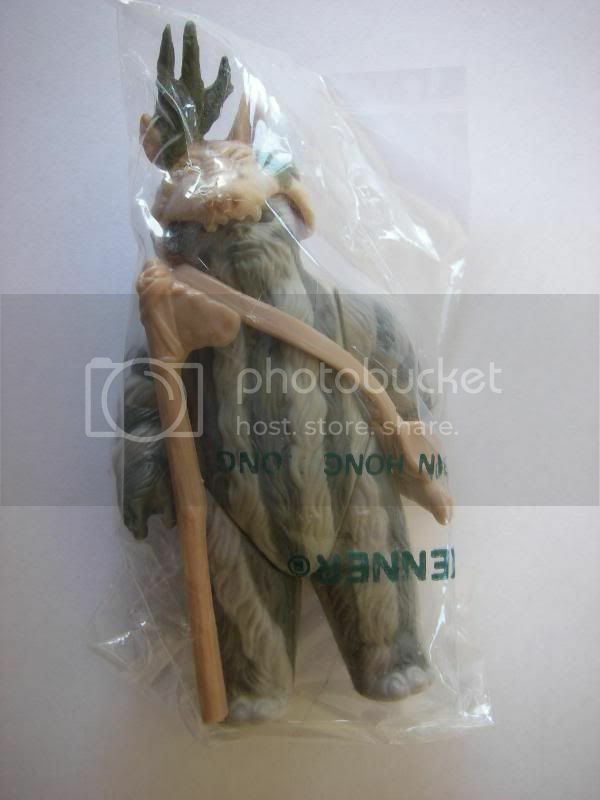 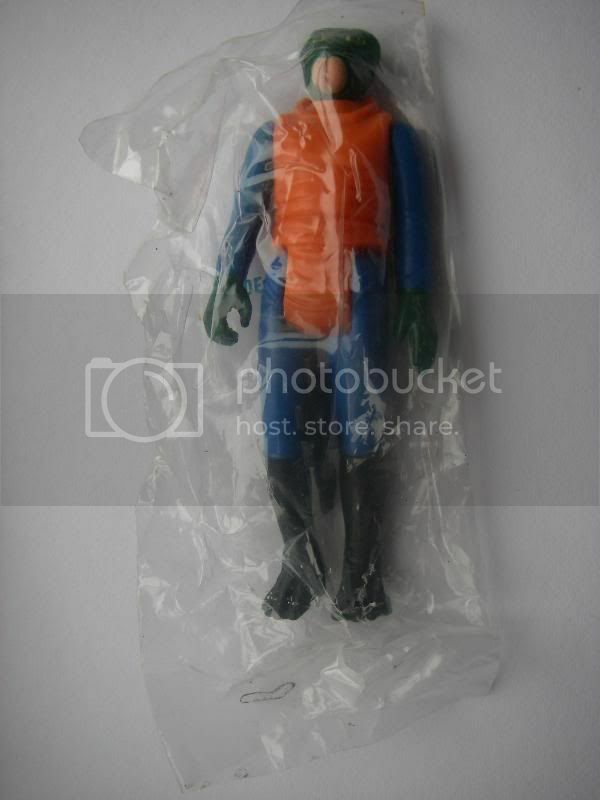 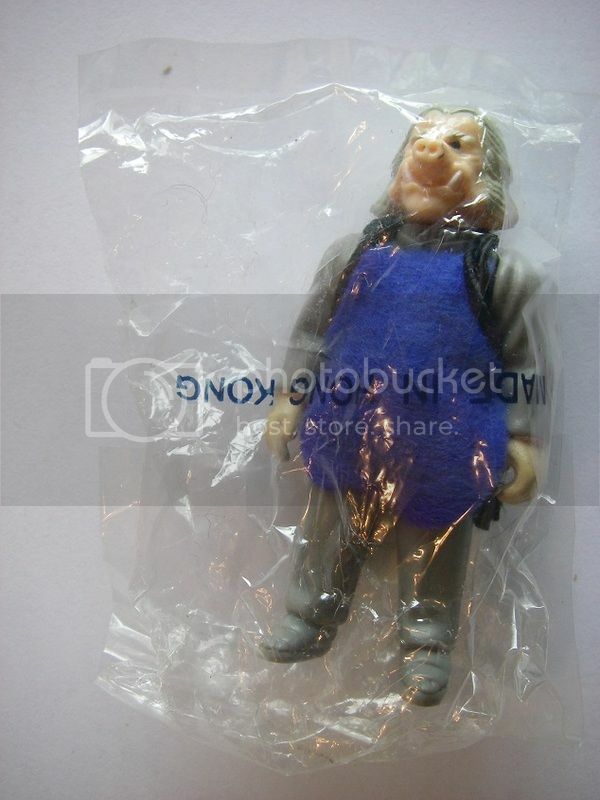 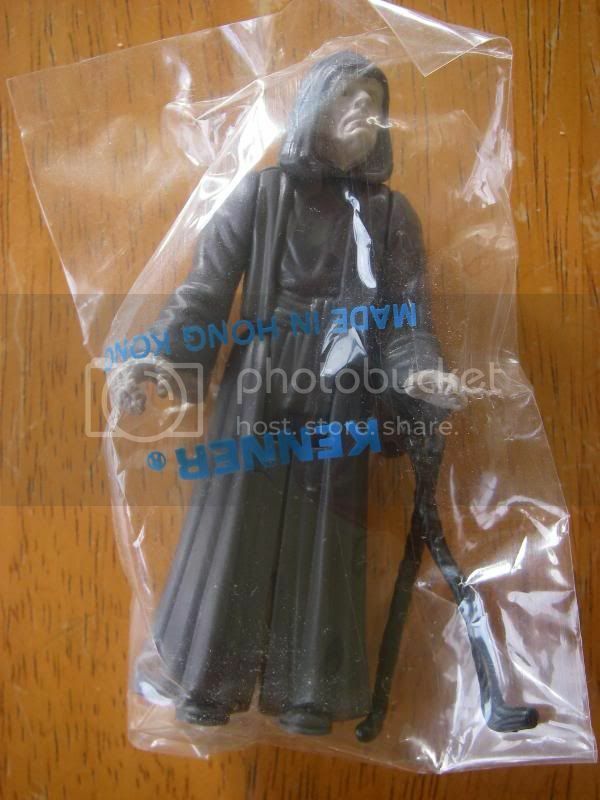 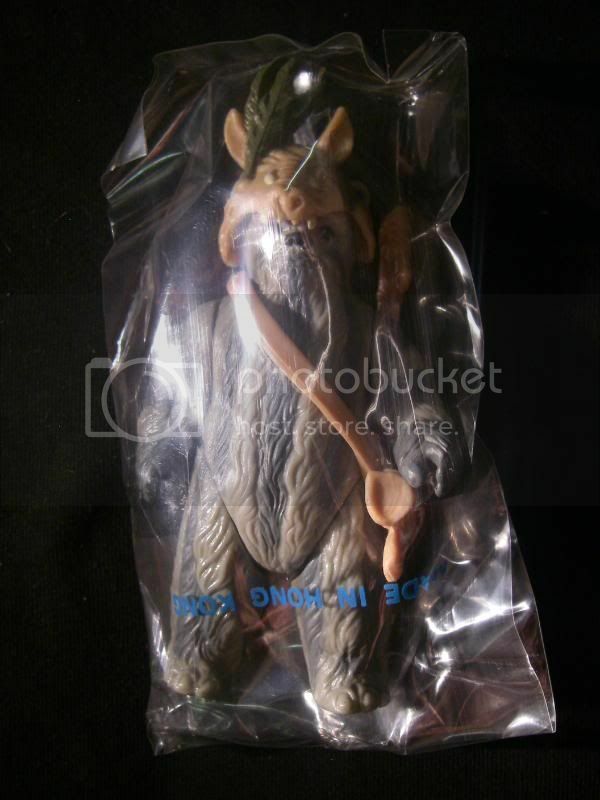 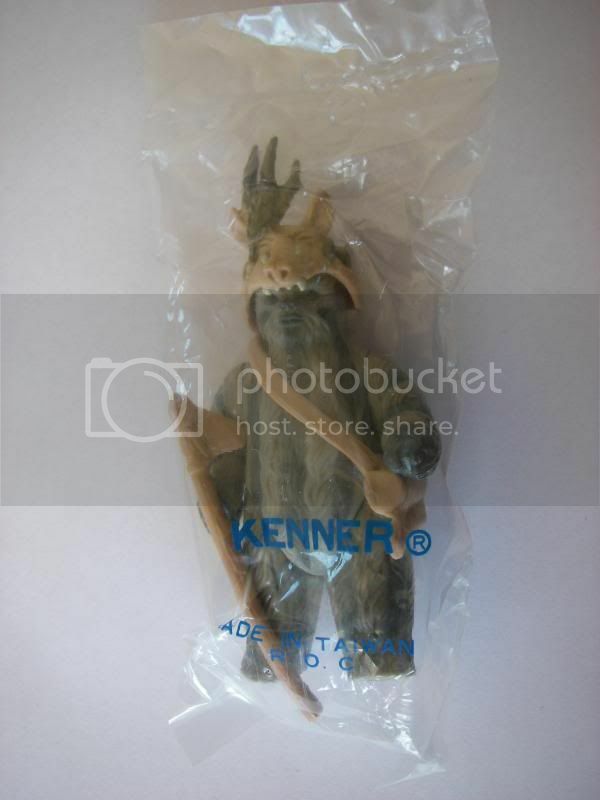 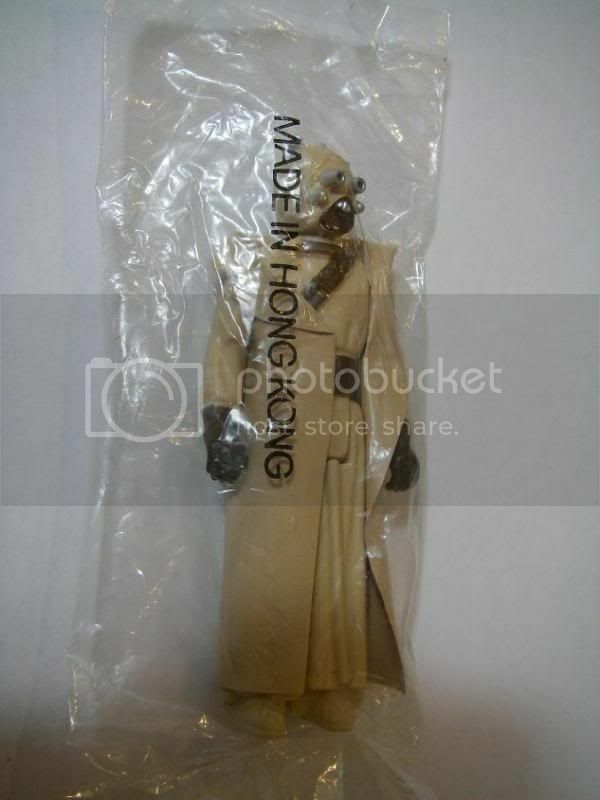 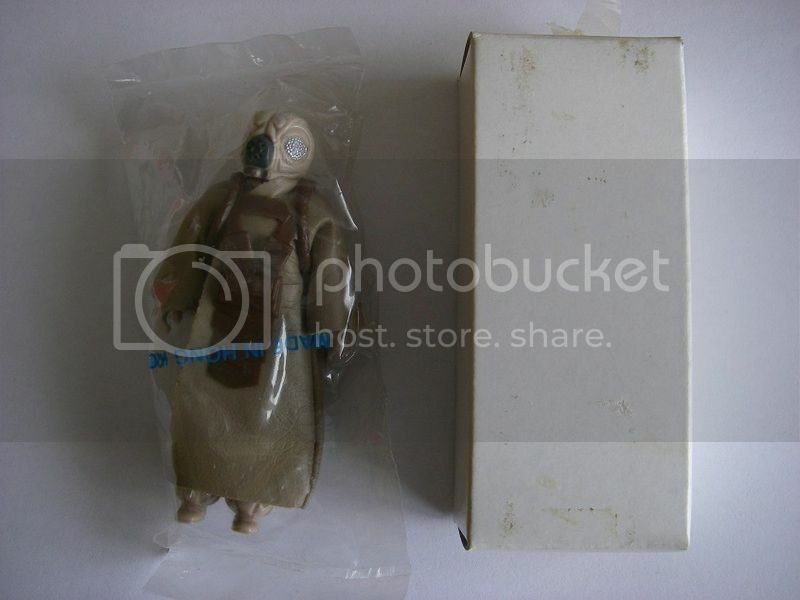 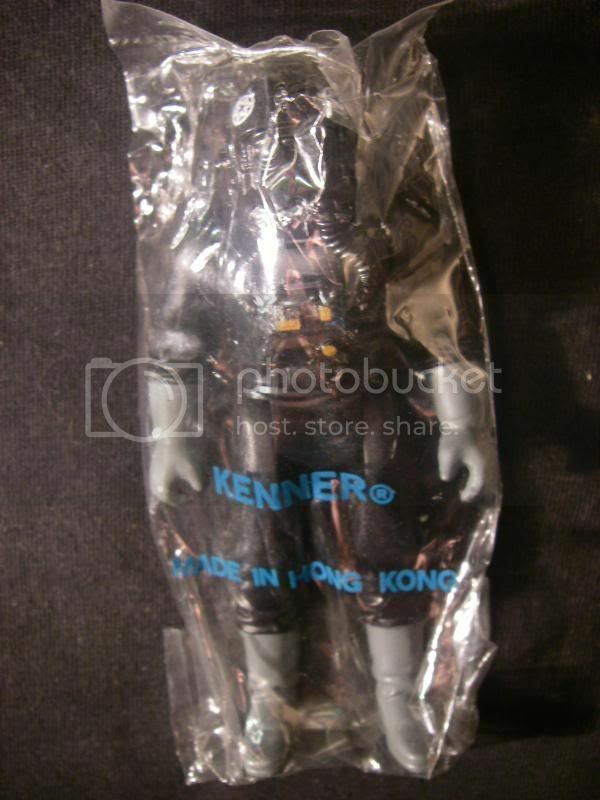 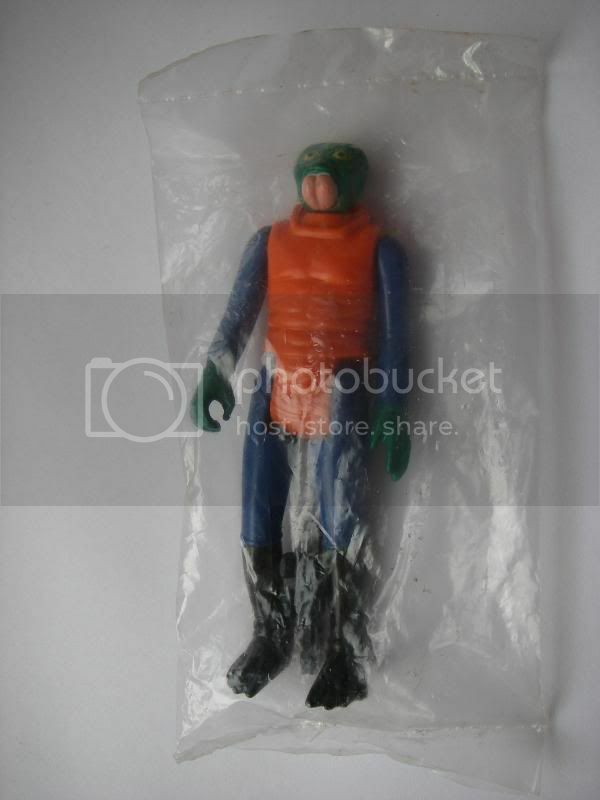 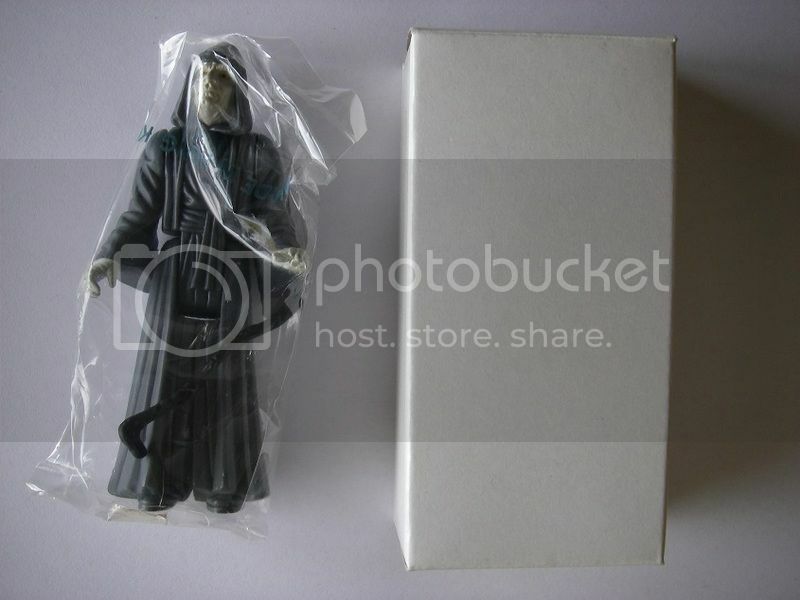 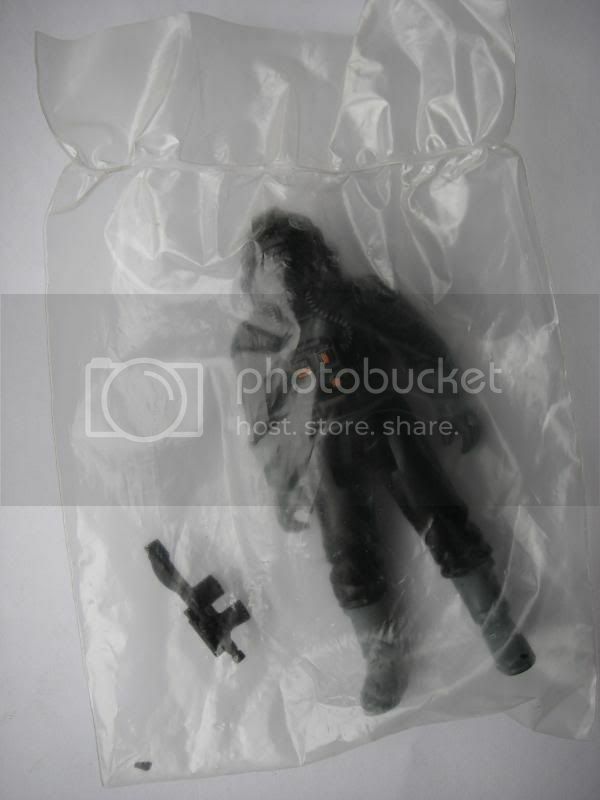 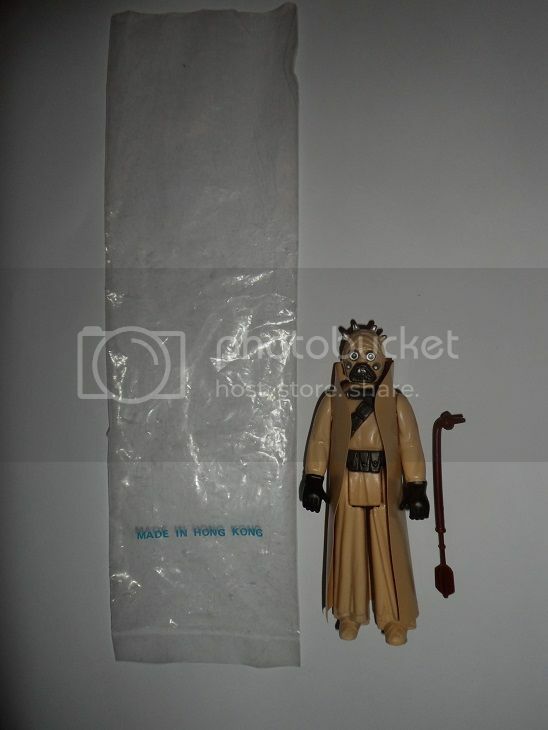 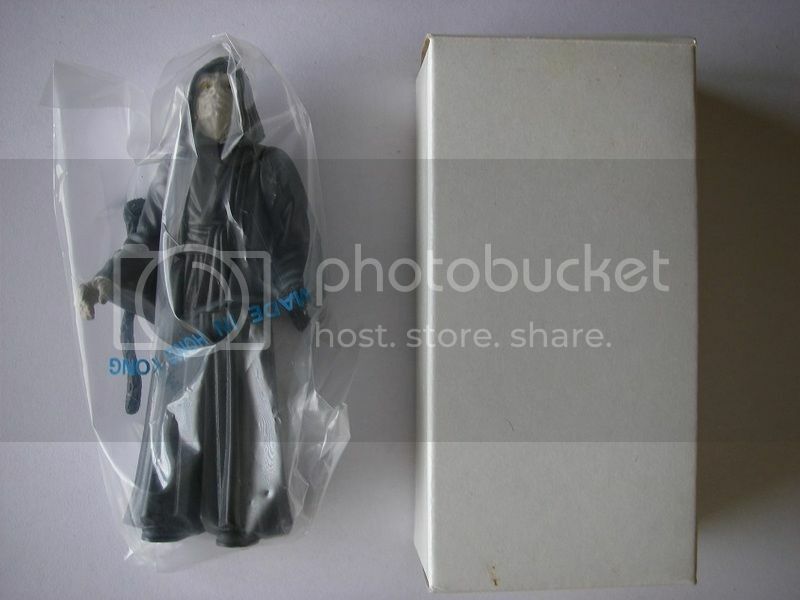 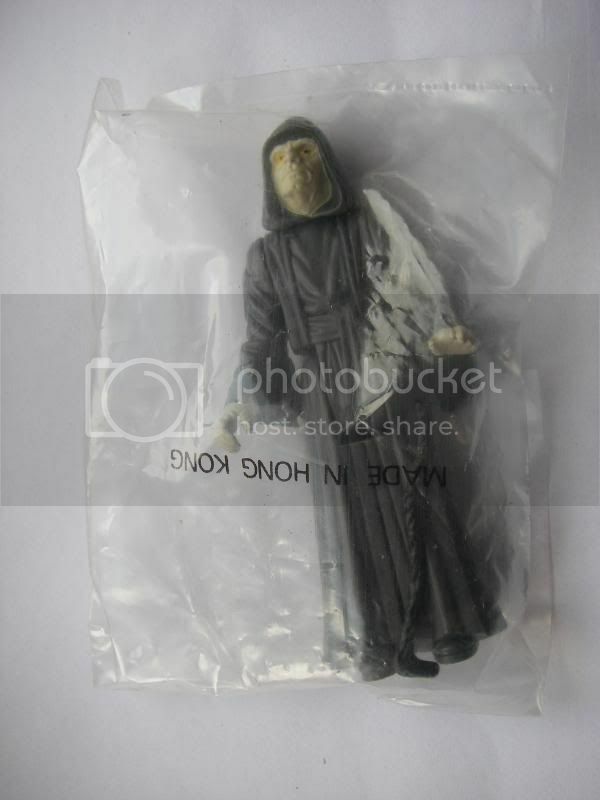 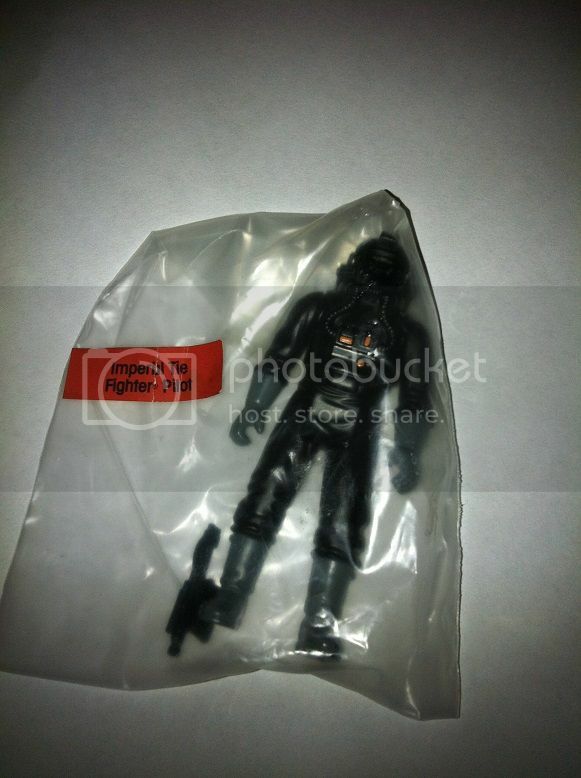 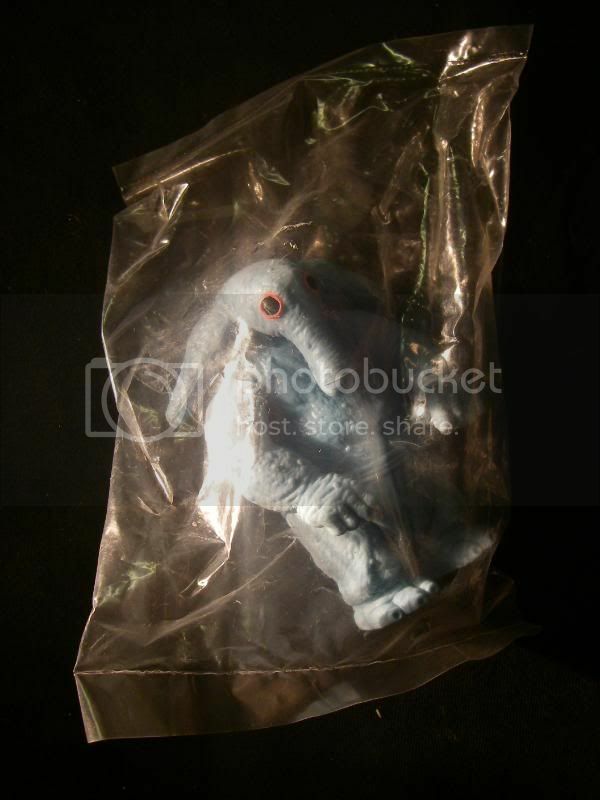 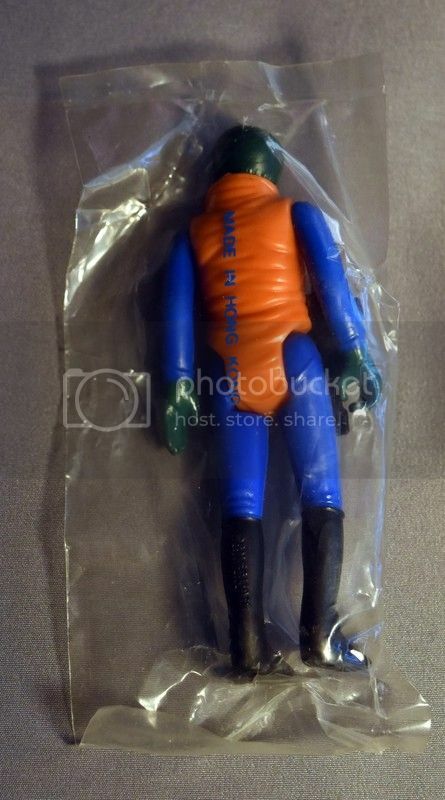 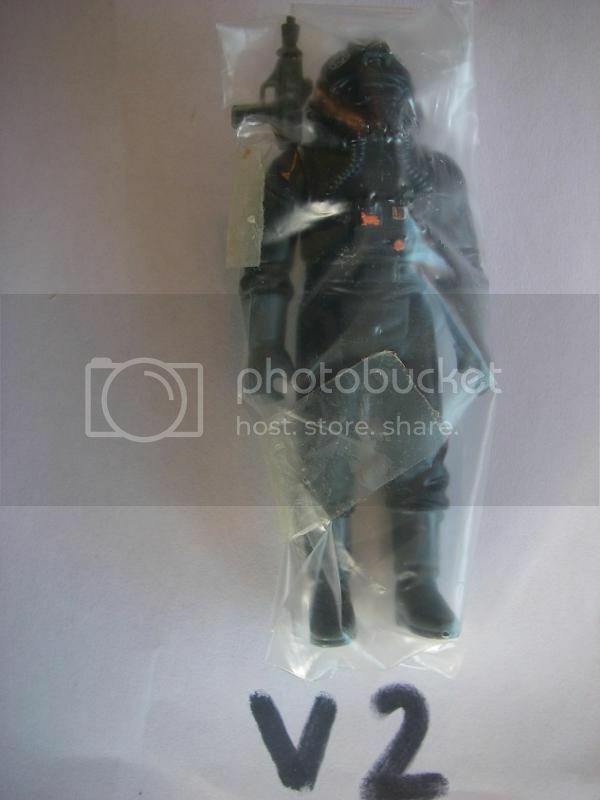 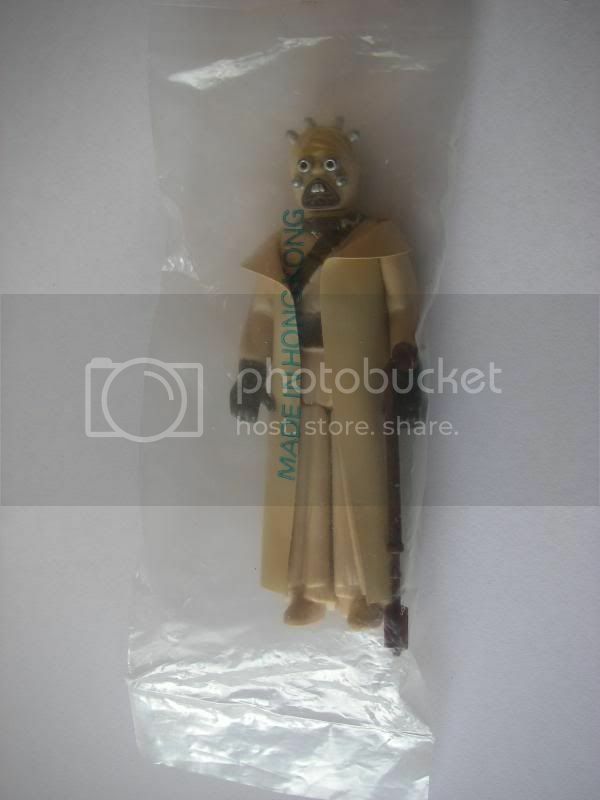 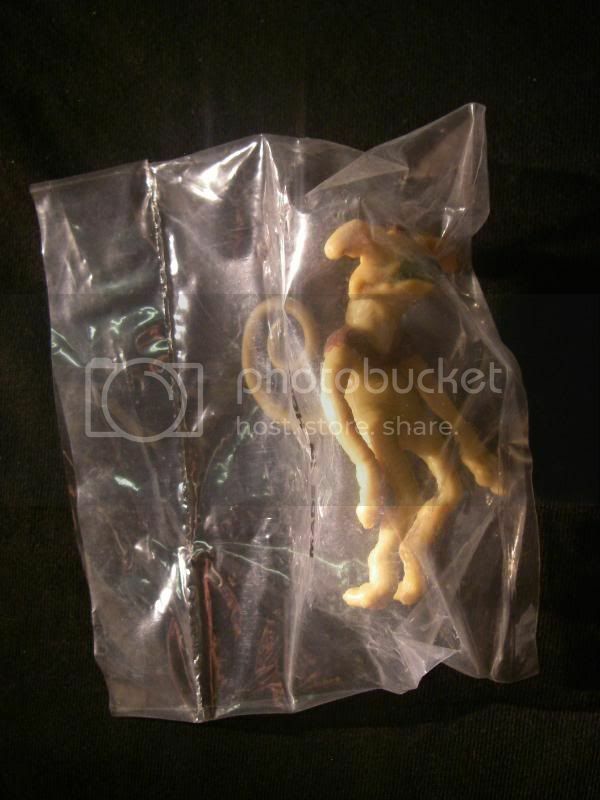 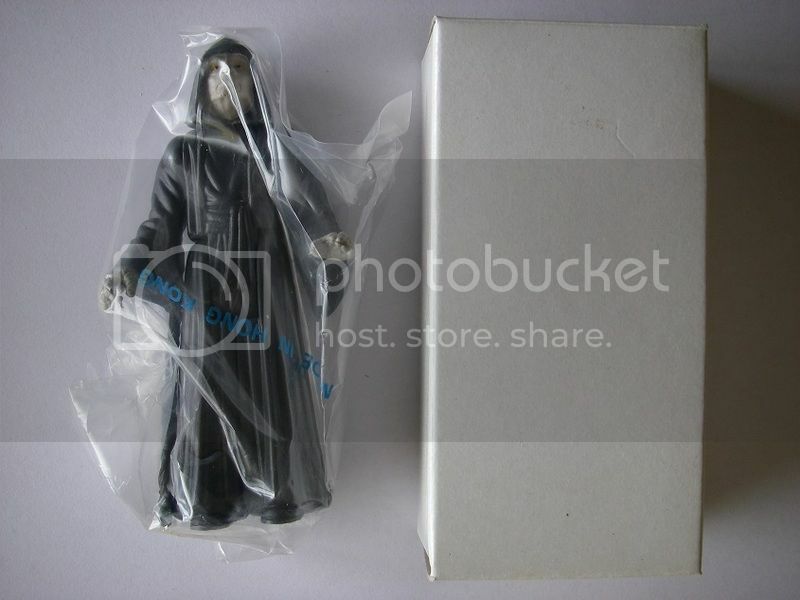 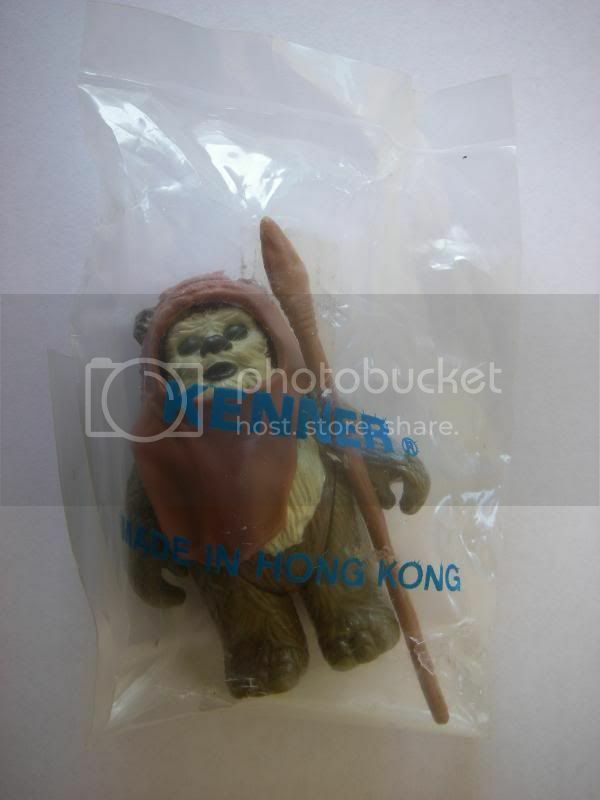 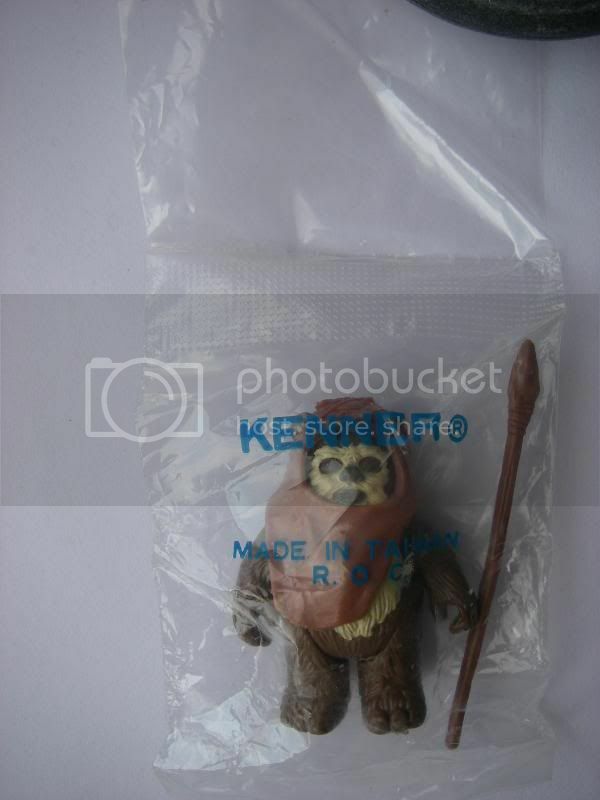 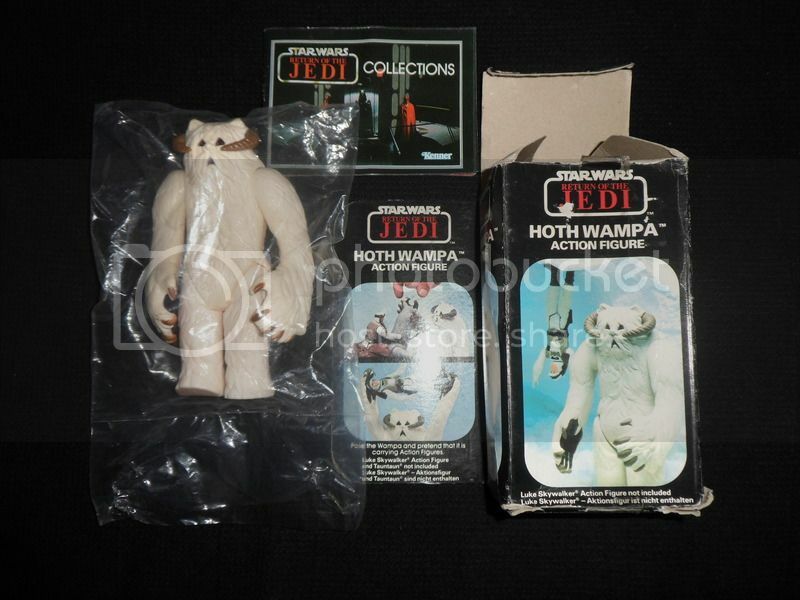 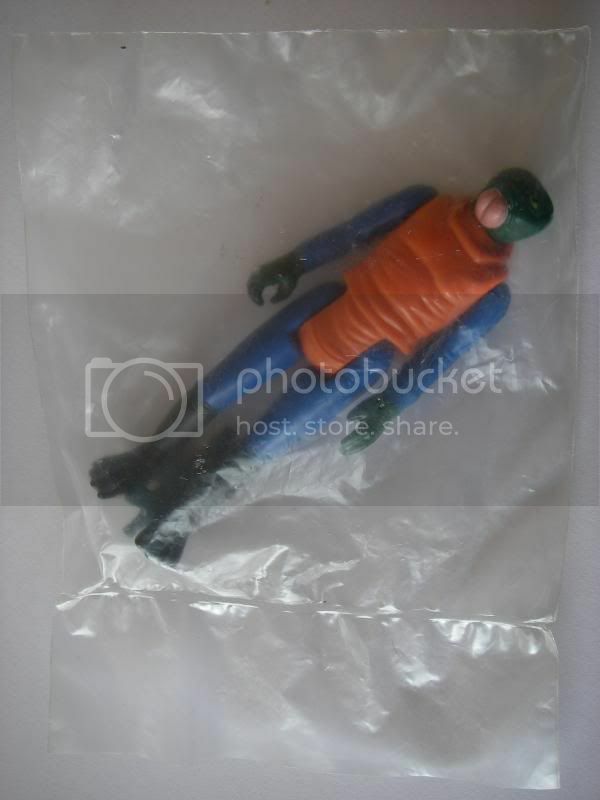 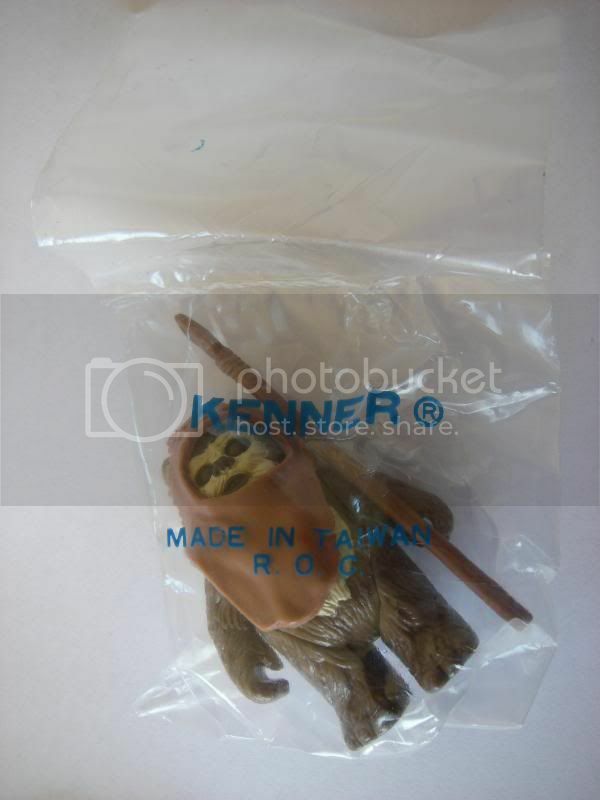 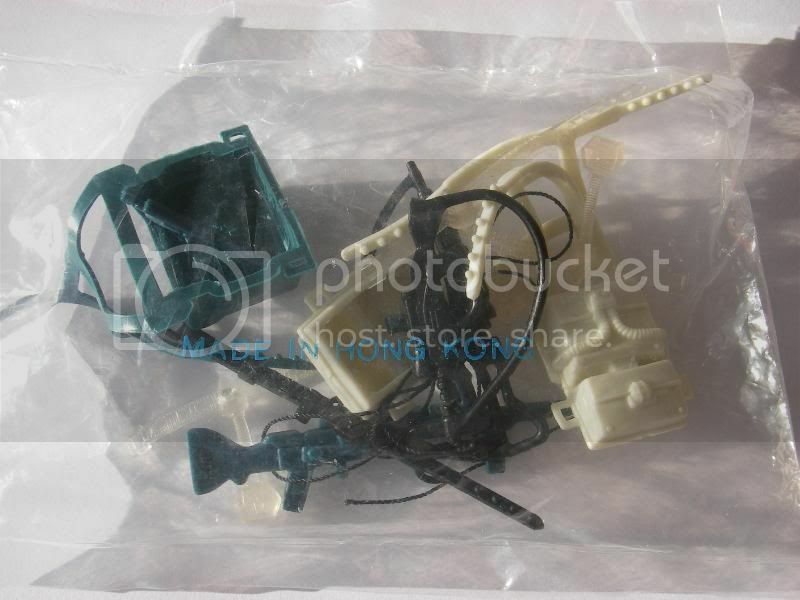 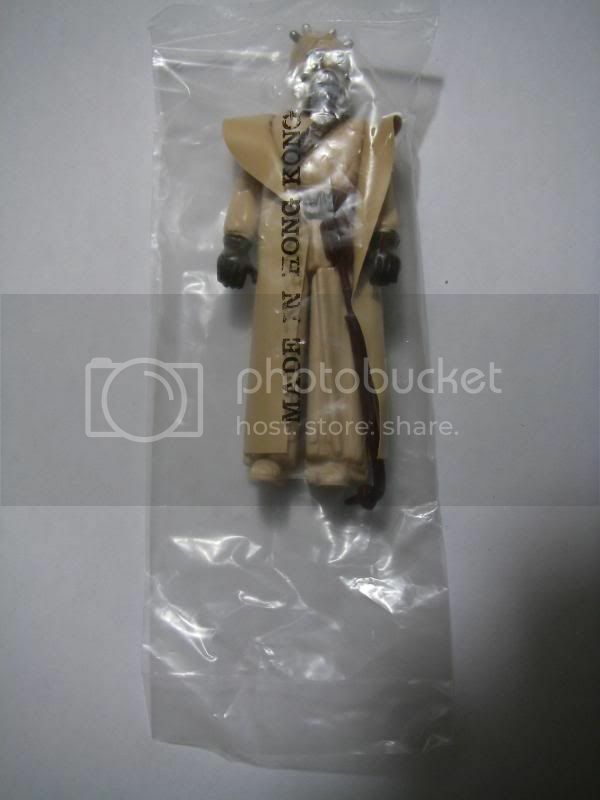 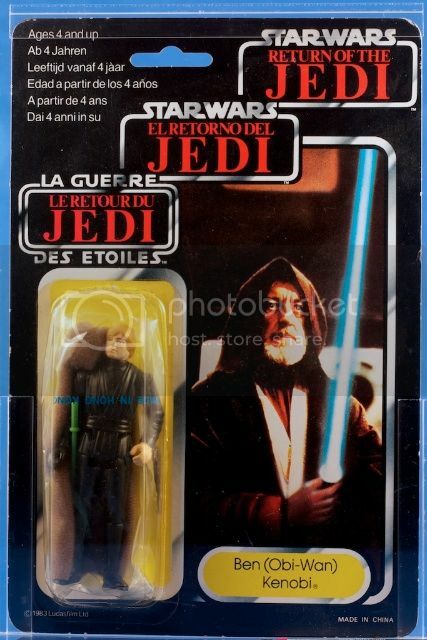 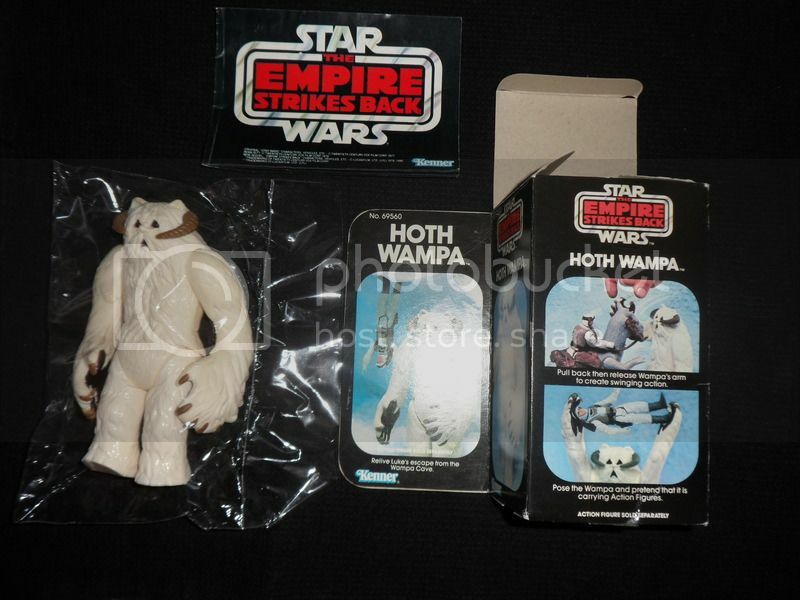 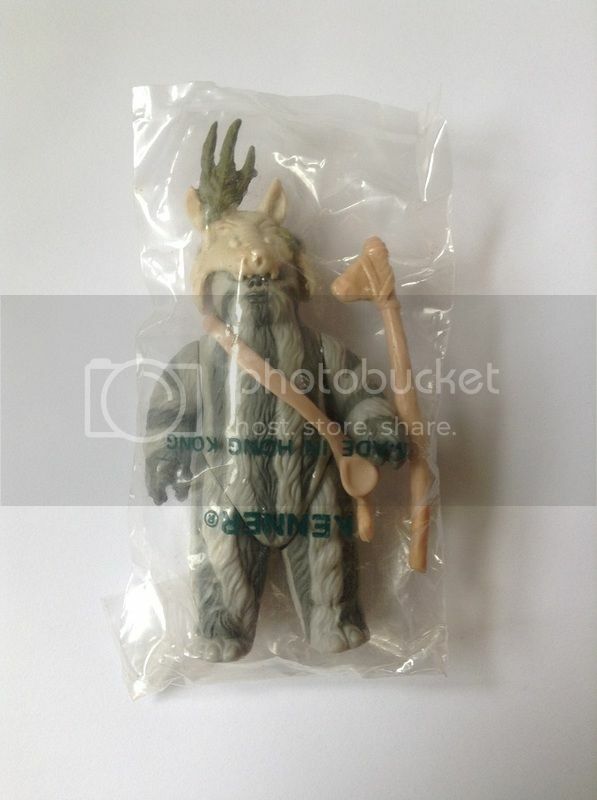 ROTJ-k & from what I know (to date) the only figure to have ever surfaced in this baggie type. 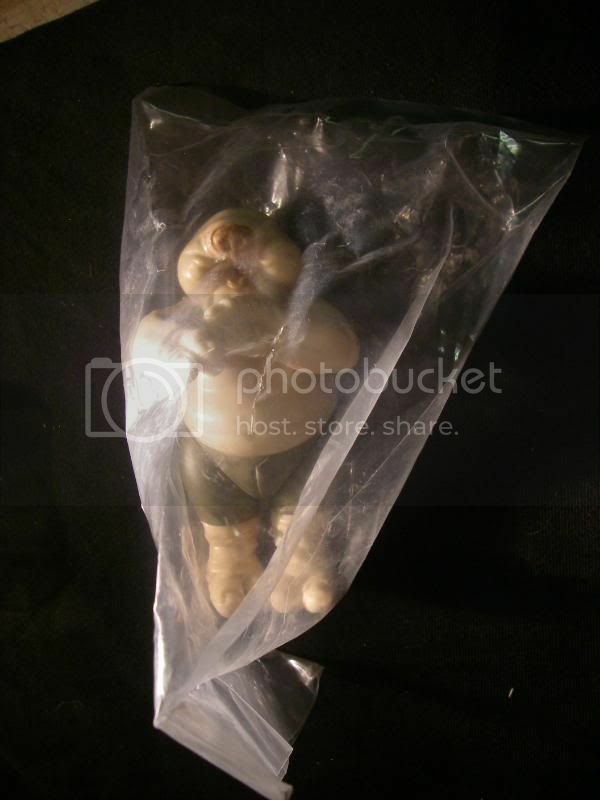 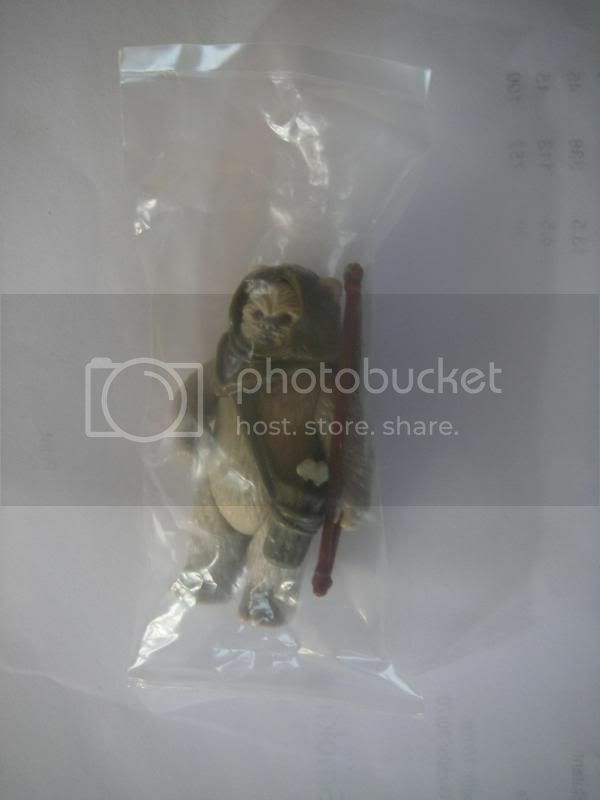 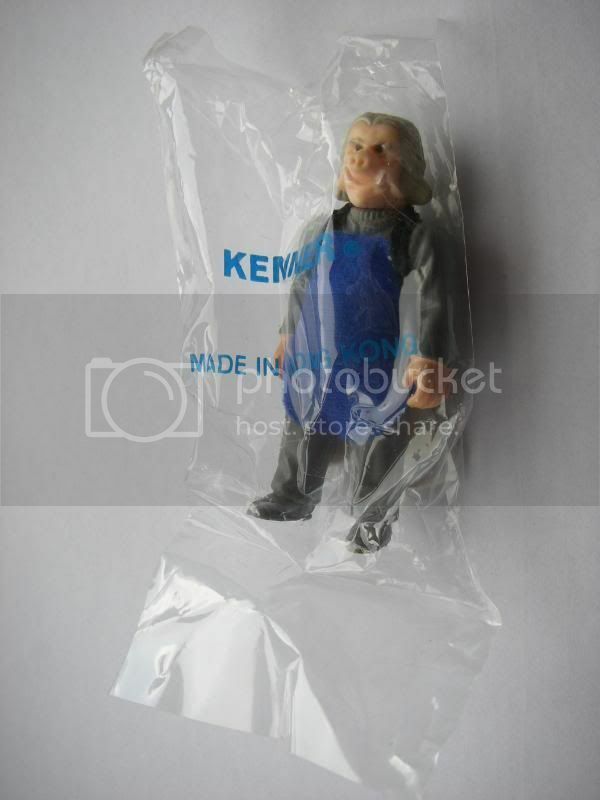 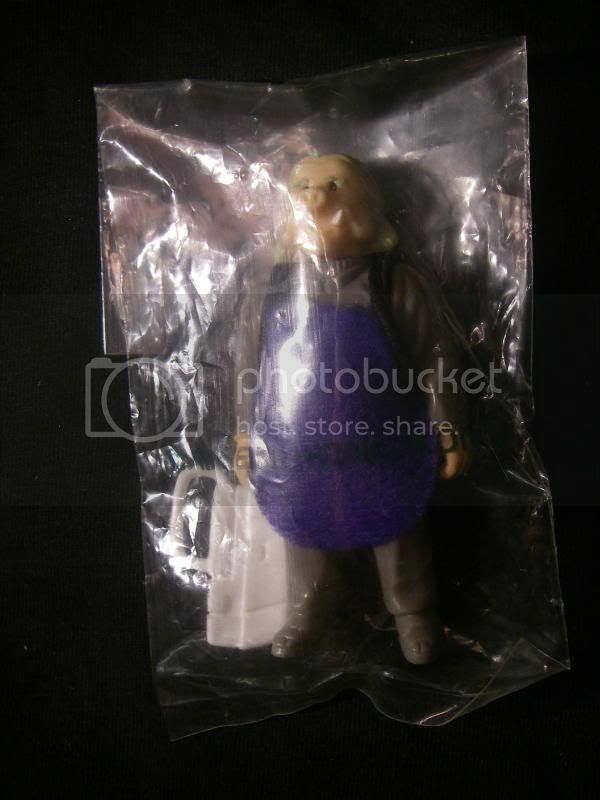 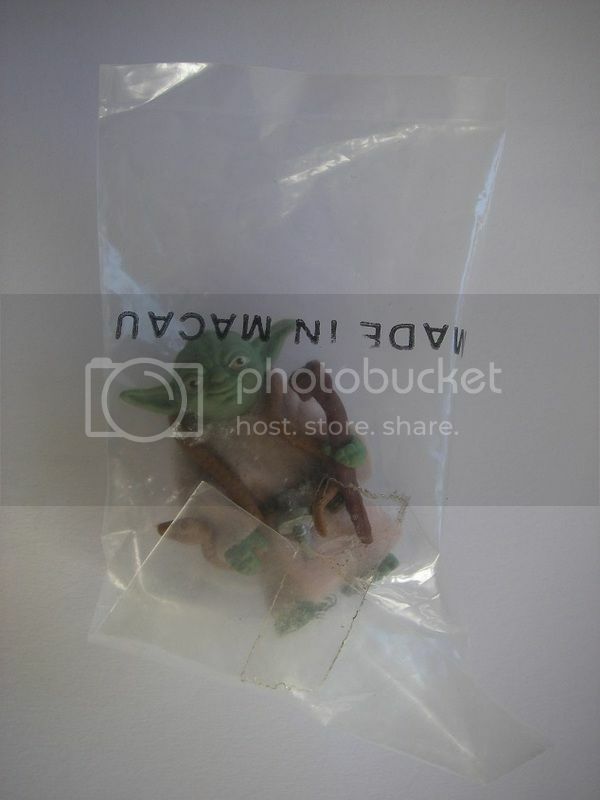 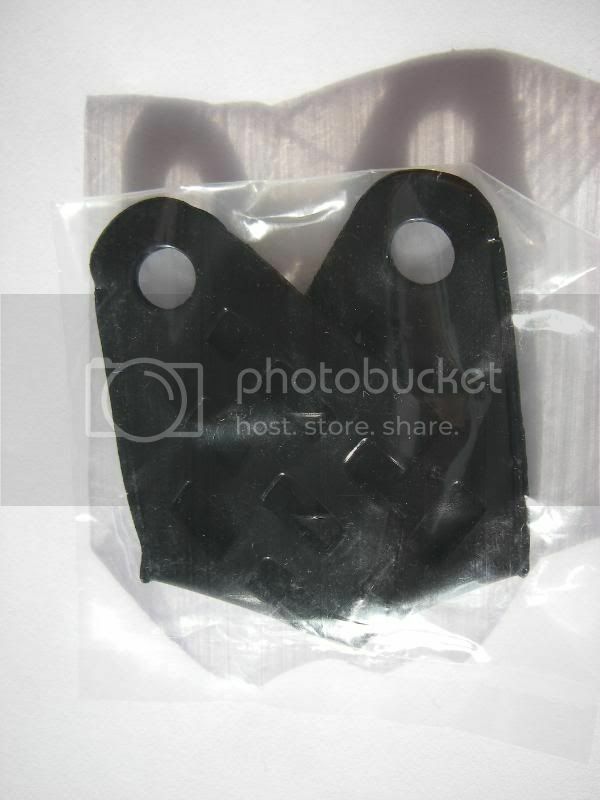 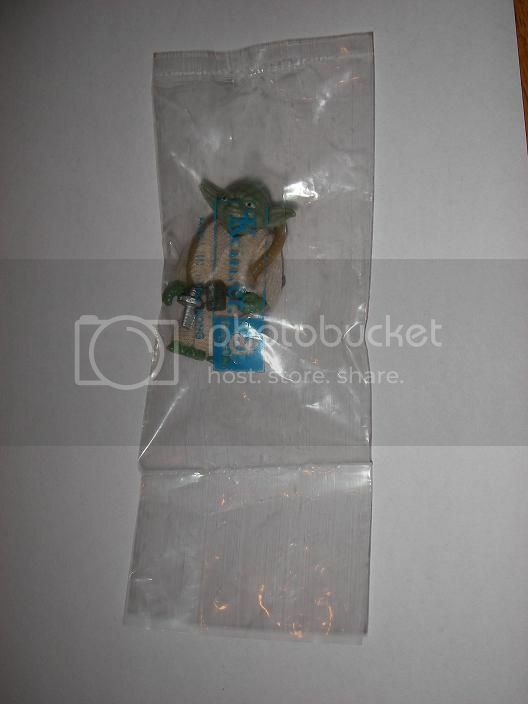 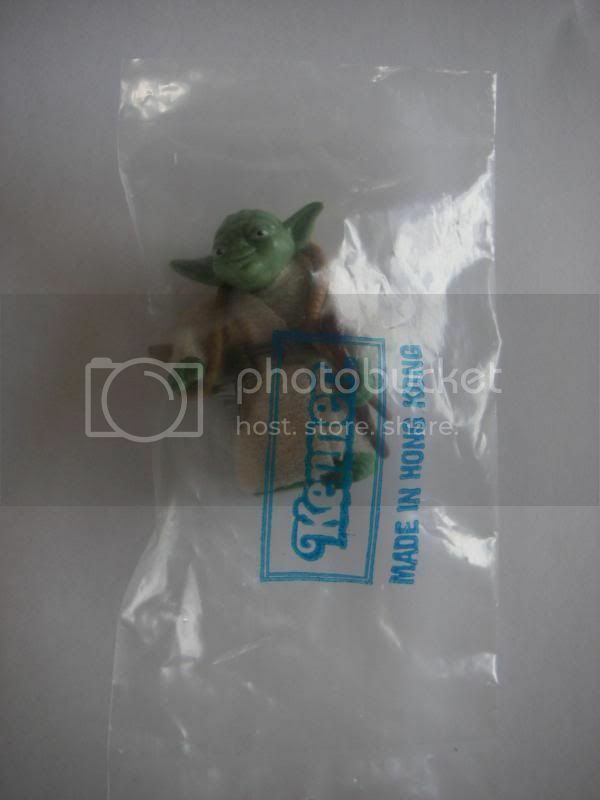 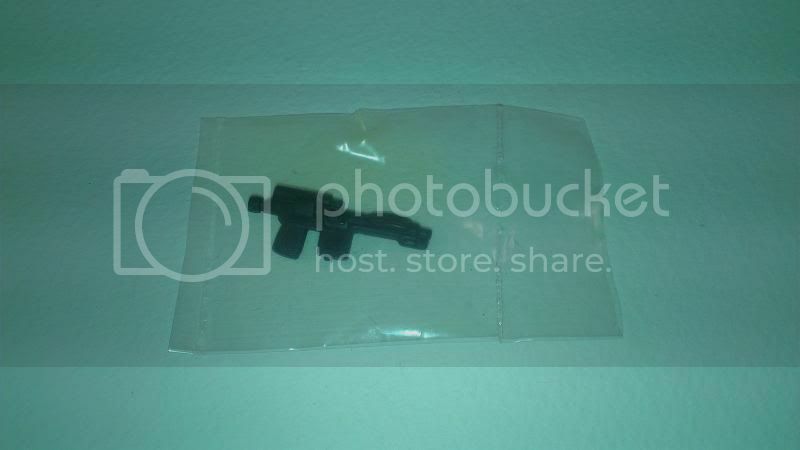 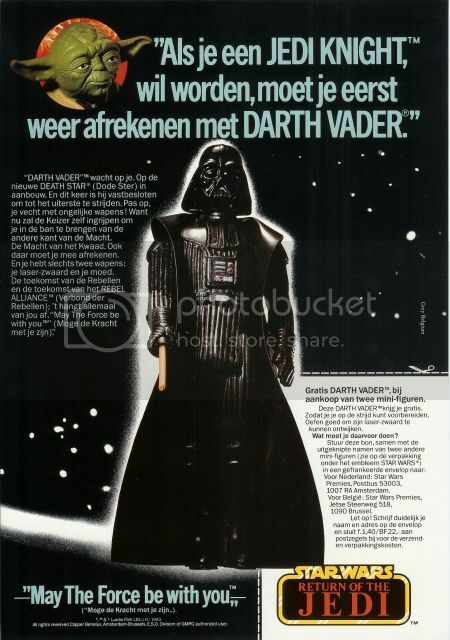 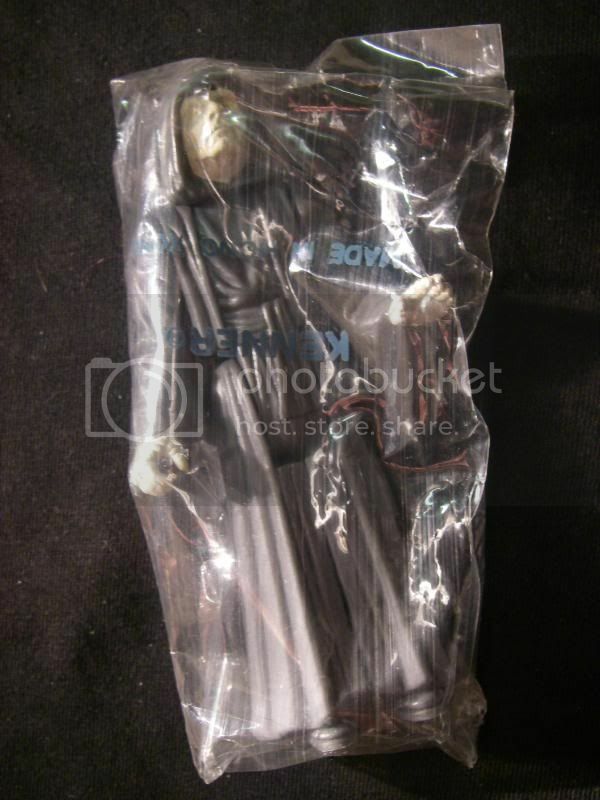 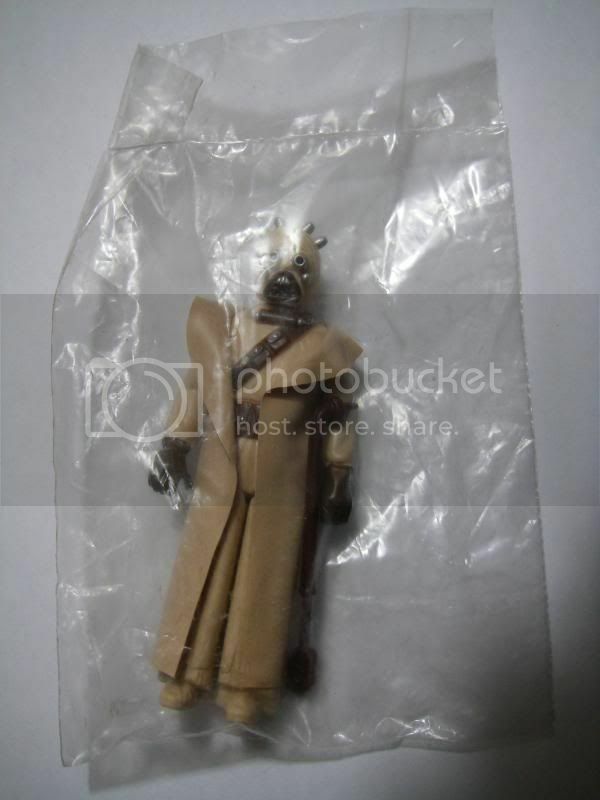 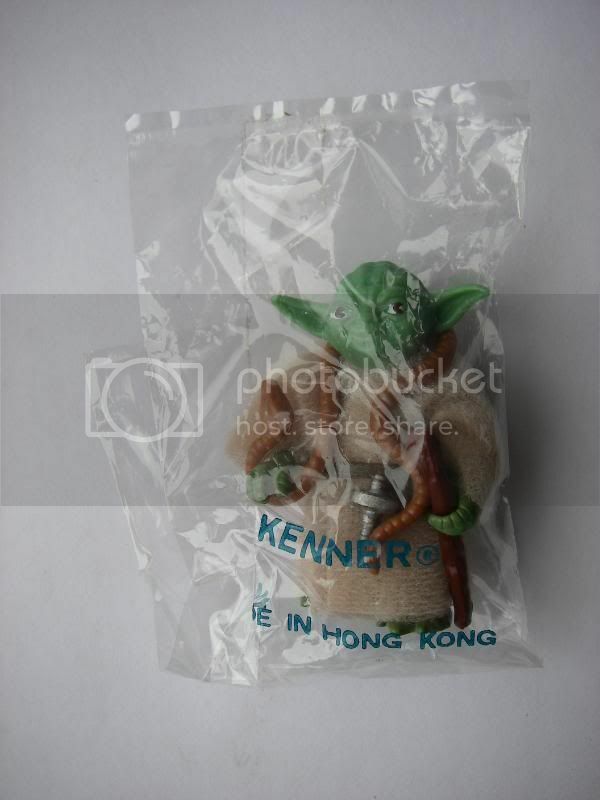 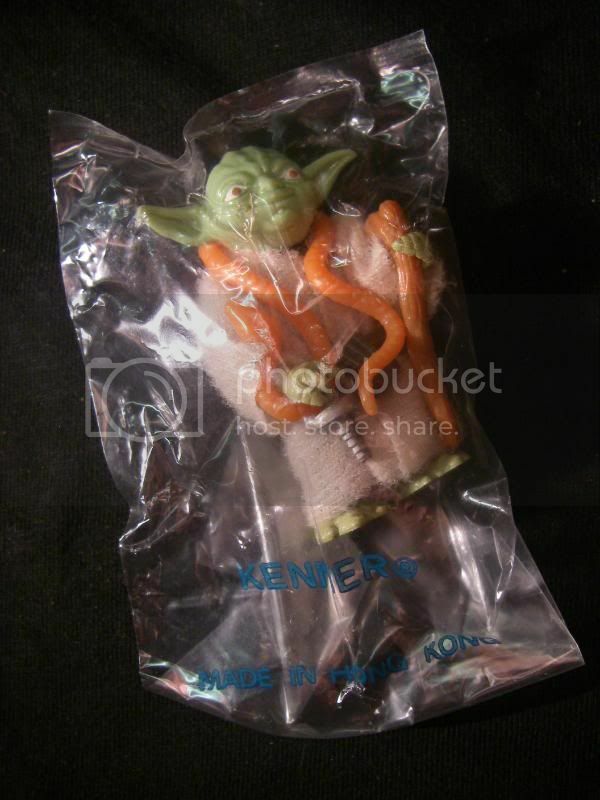 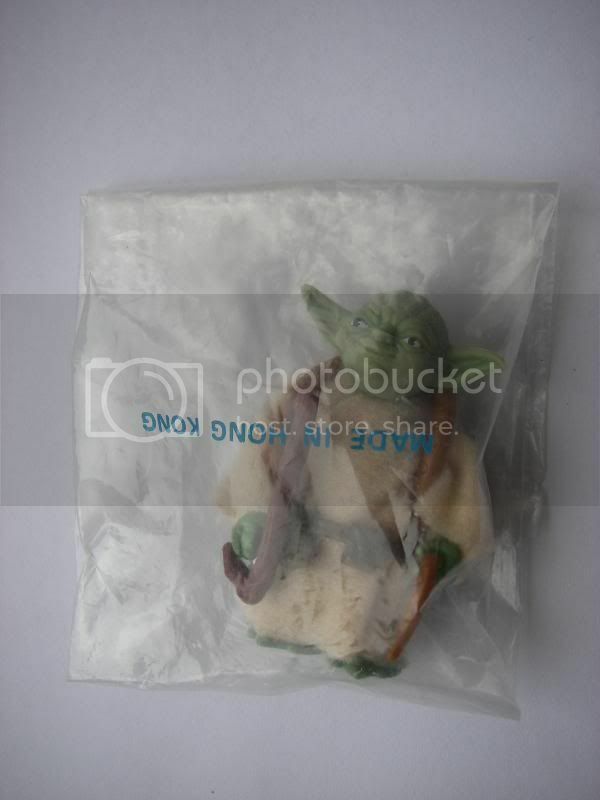 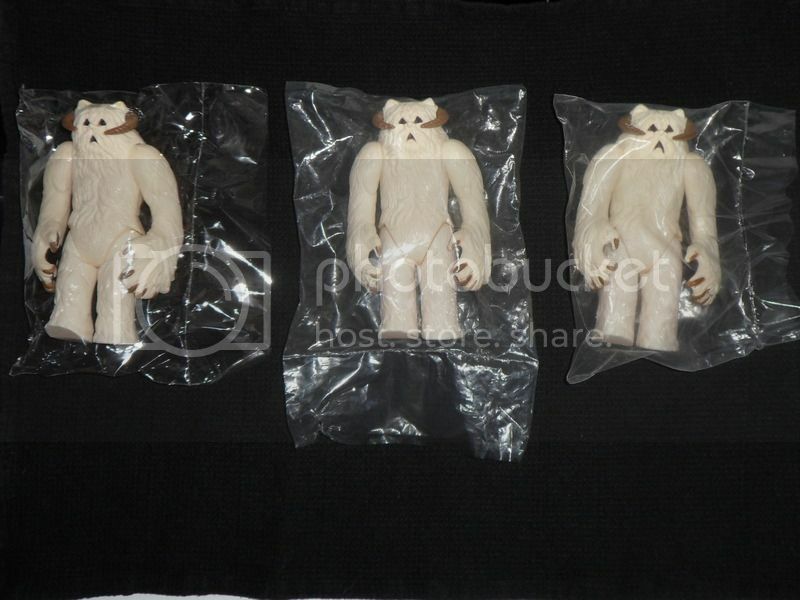 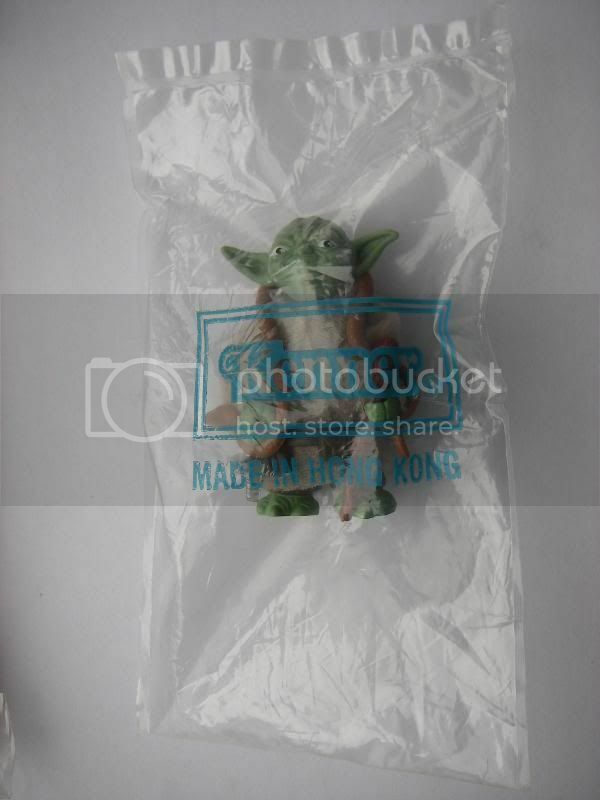 ROTJ-l - I have had to make a new classification for this kenner issue baggies as although it is shown on the SWCA guide in the rarity section, it has not been given a classification on that guide, so this is a new baggie classification. 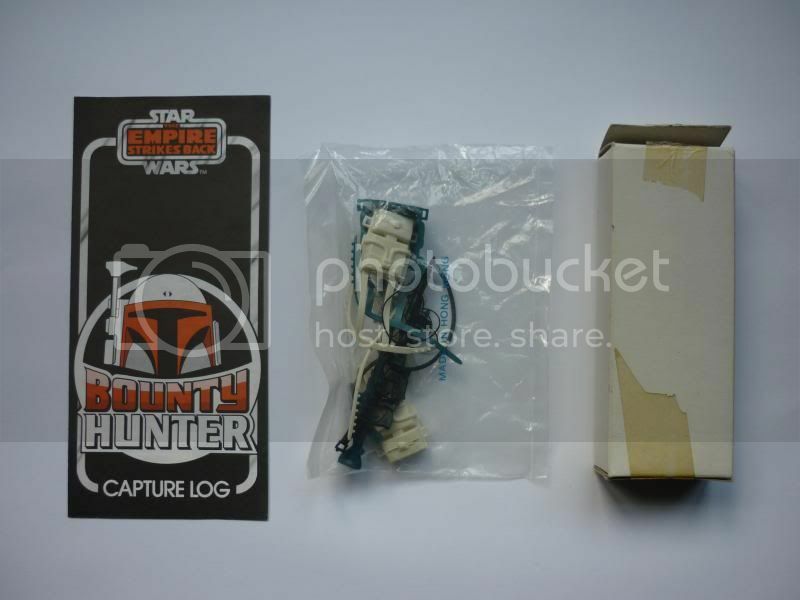 Last edited by Frunkstar on Sat Jan 10, 2015 6:36 pm, edited 3 times in total. 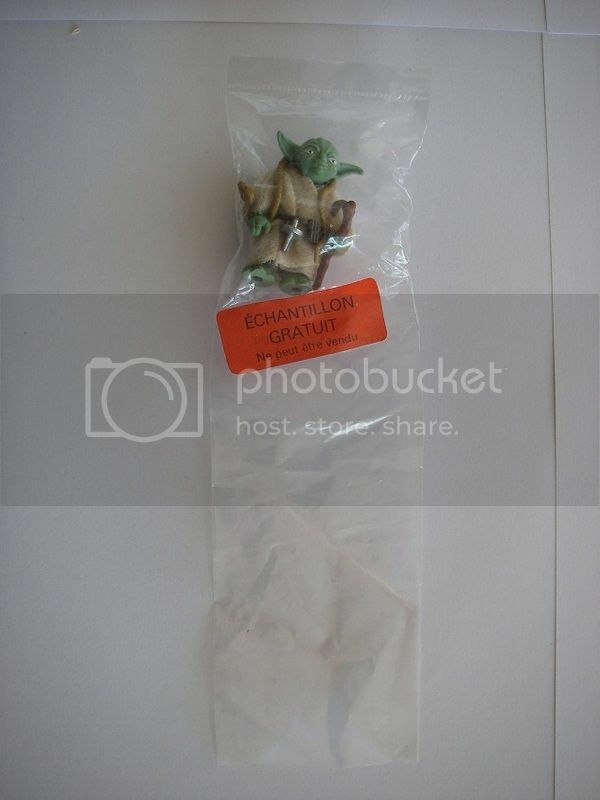 Last edited by Frunkstar on Sat Feb 09, 2019 9:57 pm, edited 21 times in total. 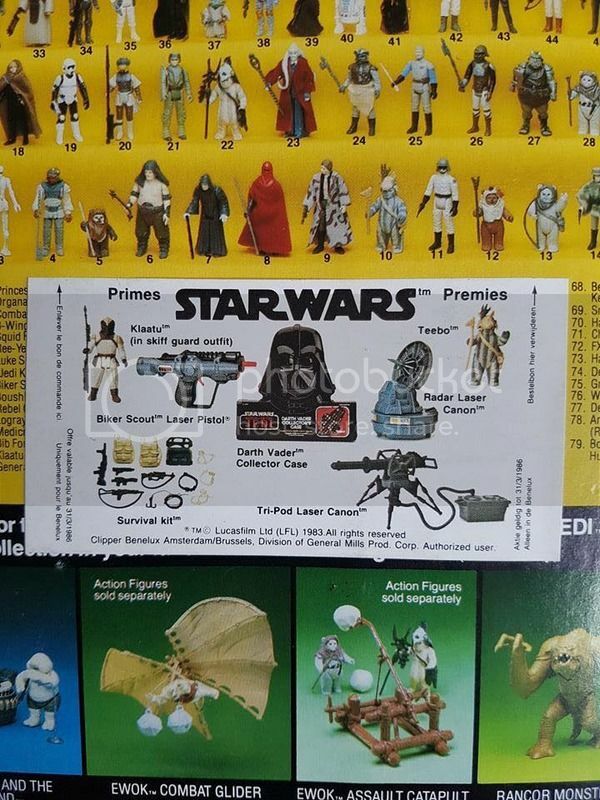 In this section I hope to do what little i can to further a little understanding on the single figure mail away/mailer figures that were the only 3'3/4" figures available as a mail in offer outside of the U.S (as far as I am aware that is). 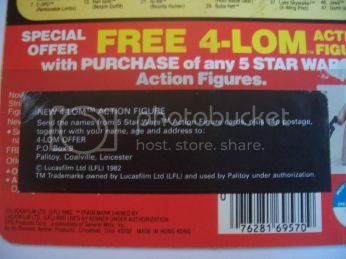 These were as a rule offered as free figures when you send in so many proof of purchases or at least here in the UK when you send in X number of figure nameplates from the front of the carded figures you bought, hence so many cardbacks in circulation missing the nameplates from there fronts & even MOC figures with the pop's removed, I would like to give huge thanks at this point to Mike (Momike) & ShawnK for all the information that's already out there thanks to them & the photos of a lot of the Mailers that Mike has provided me via email. 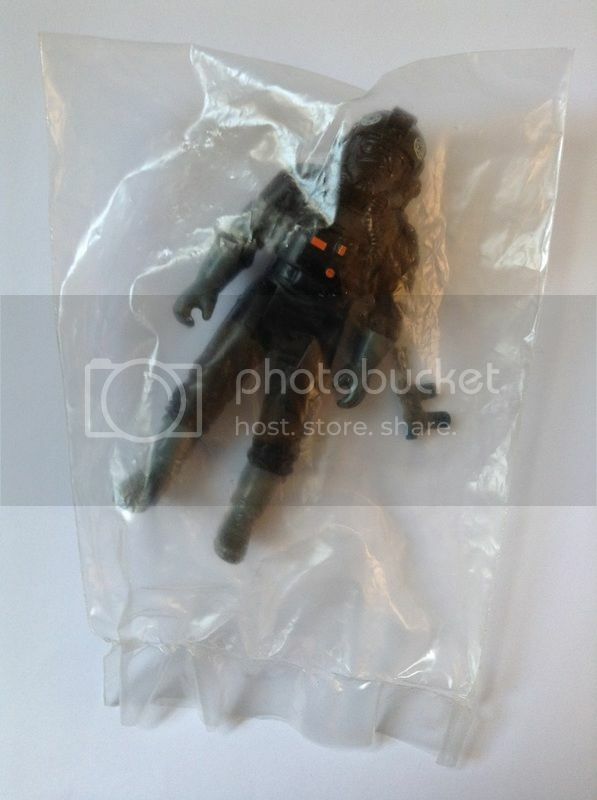 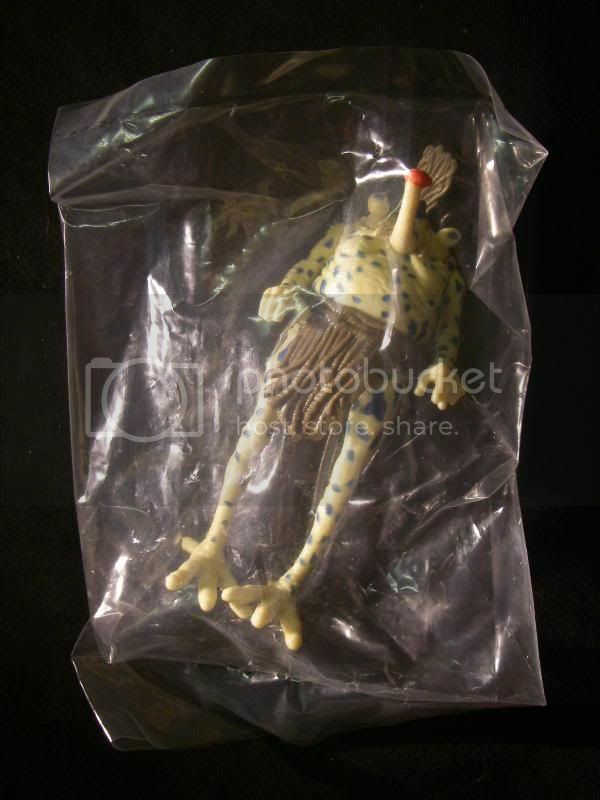 Single figure mailers were available in the U.K Australia & in the U.S, I think they were also available is some other countries, but to date I have no knowledge of if & where, so if you can help, again that would be great, so please do get in touch. 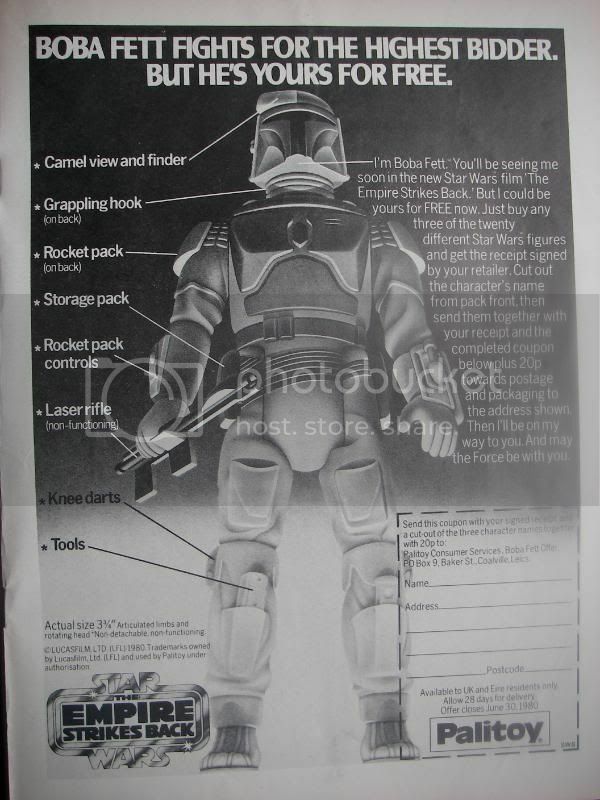 Some figures were country specific from what I know so far, like the Rancor Keeper & Dengar which were only available here in the U.K, as a child I vividly remember getting a Dengar as a mail away as A. I remember not wanting to cut my cards down for the nameplates & B. what really makes me remember it is that I used to go over to Germany for my summer holidays to visit my family there & also my childhood friends who were all in to the SW toys, I got my Dengar in hand just prior to going & proudly took it there with me to show off, well when I got there my friends were all suitably unimpressed & proceed to frogmarch me to the nearest toy shop where I was rather shocked to see row upon row of carded Dengars, he was the most common carded figure currently available there - he was not on general release in the U.K at that time with it being on the mail in card front offer, see the promo add below which has to date never neen found in flyer form like the Rancor keeper & Emperor ones. 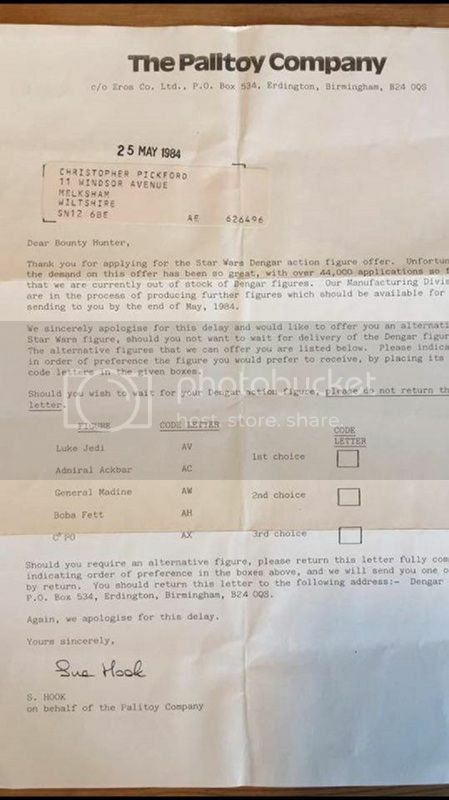 From speaking to Mike I have the impression that there was an offer right toward the end of the toy line in the ROTJ era that had a promotion where you could choose which figure you would like to receive out of a choice of 6 figures, sadly I have to date not found as much as one scrap of information regarding this offer, so if you know anything at all about this offer, please do get in touch so some more can be added to this guide. 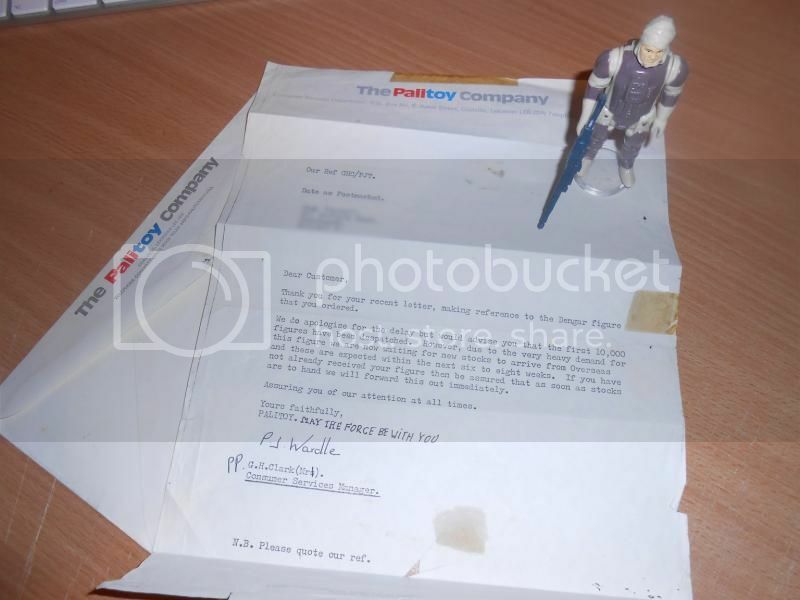 I have as yet not managed to get all the images together on photobucket to link here so I would ask that you please bear with me as it will take a while to gather them all together & get them up. 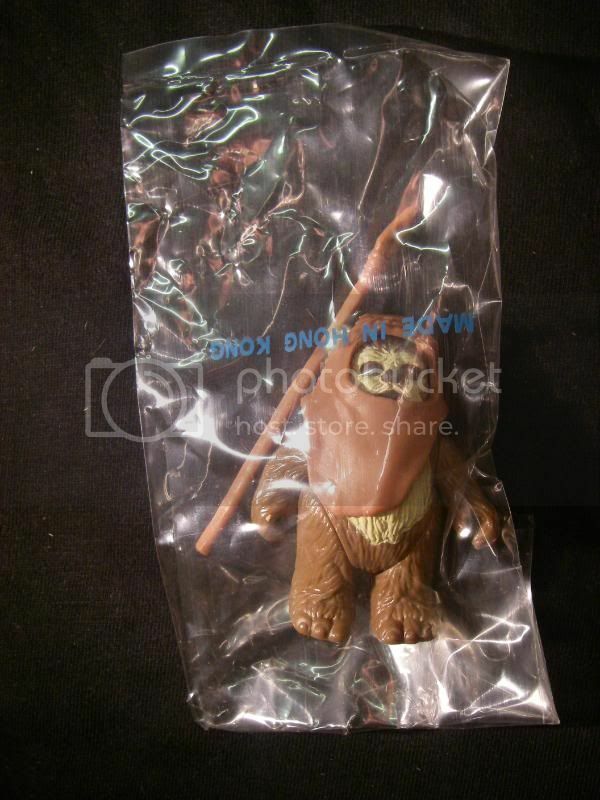 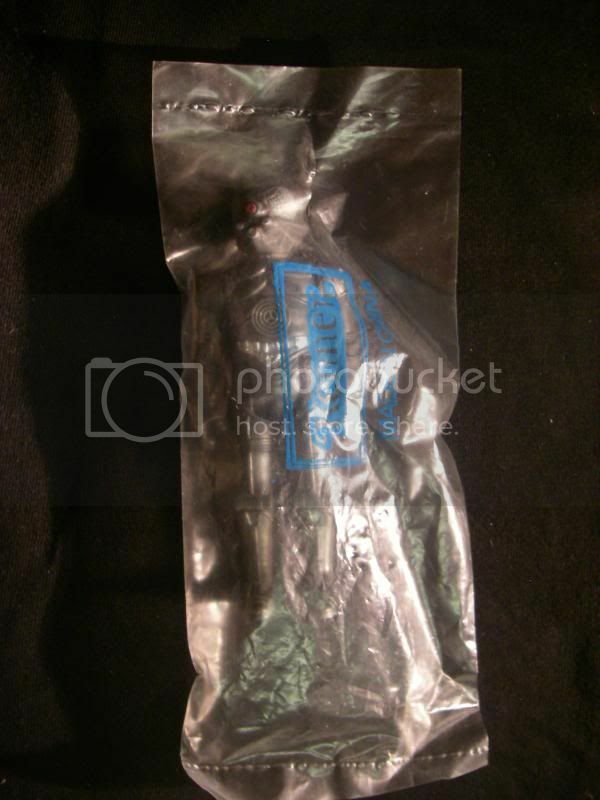 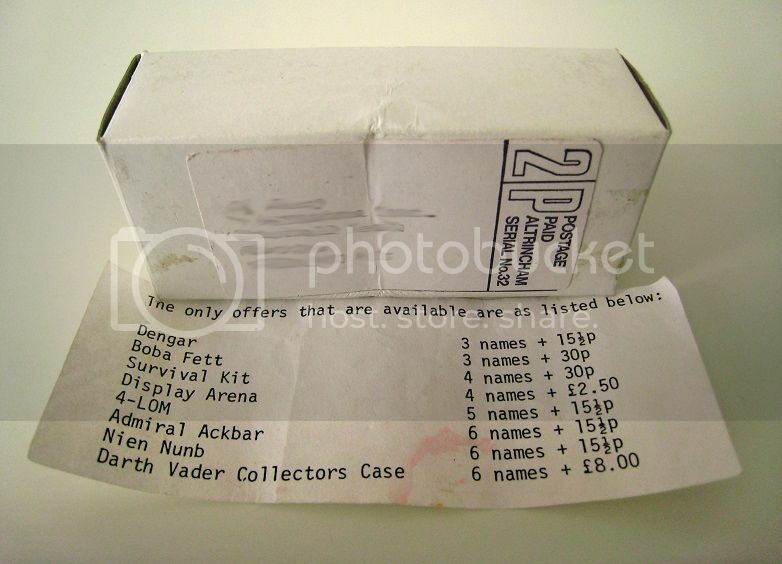 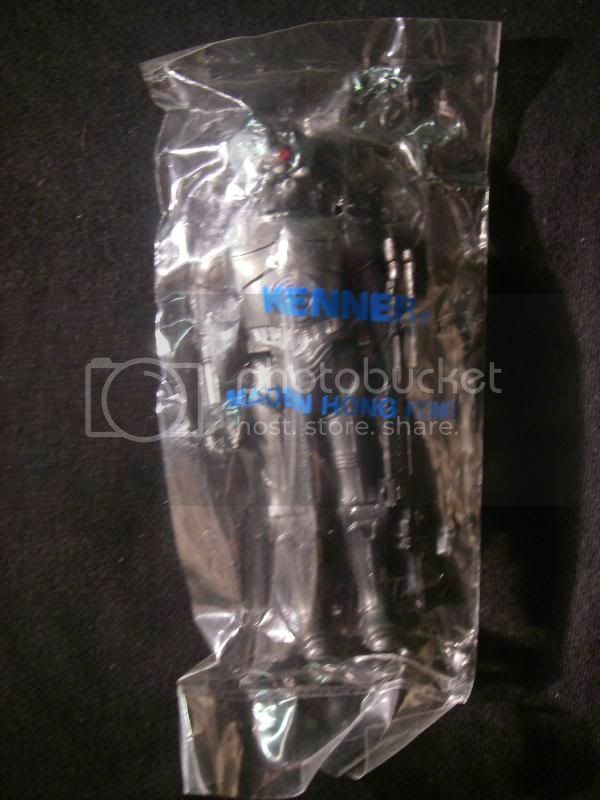 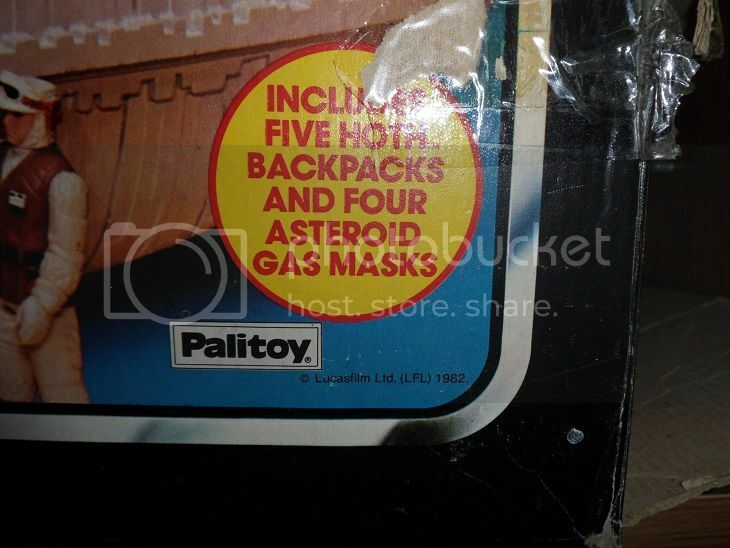 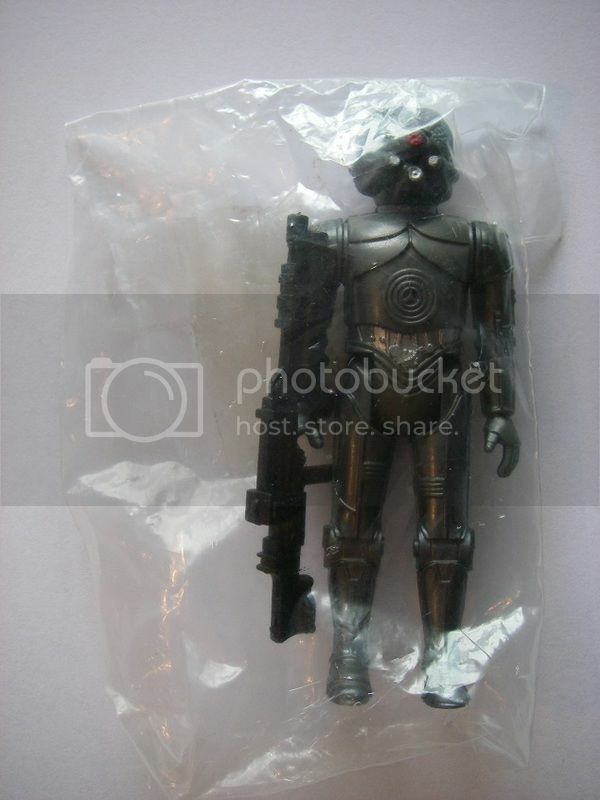 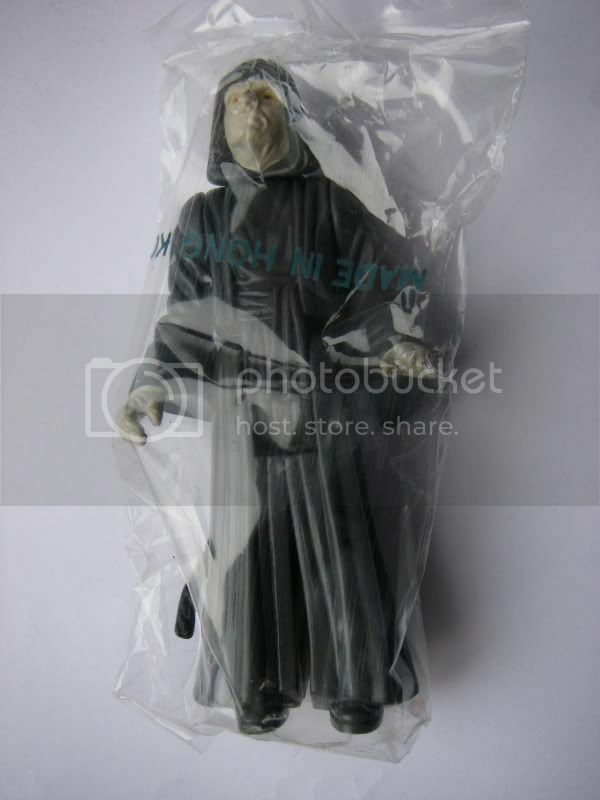 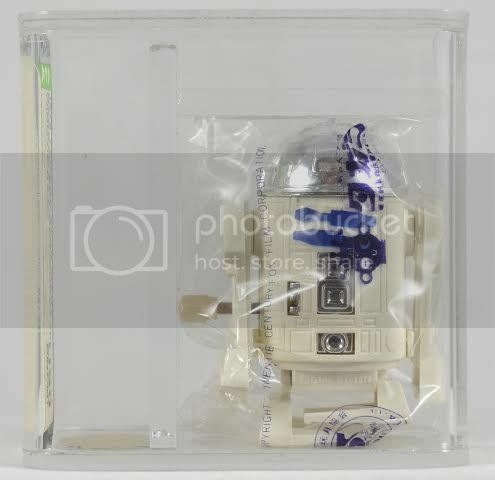 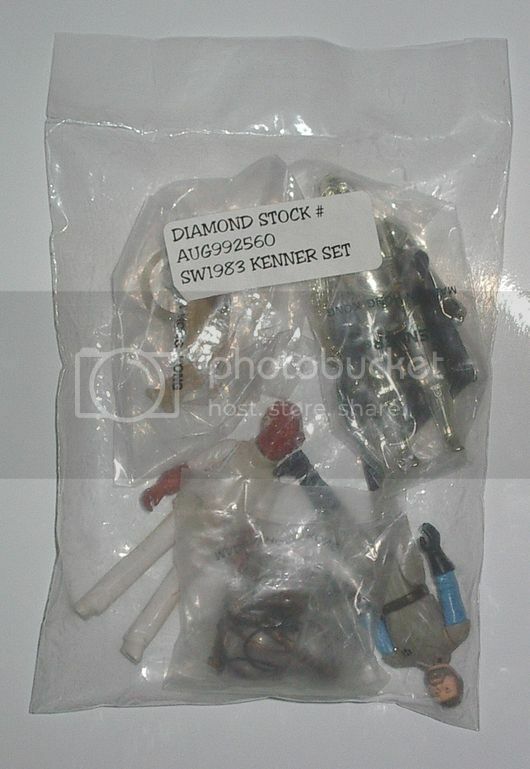 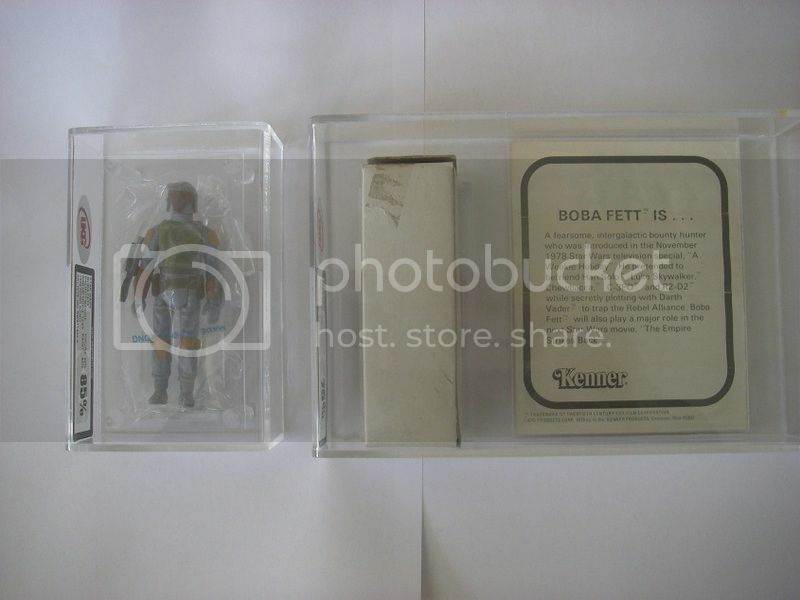 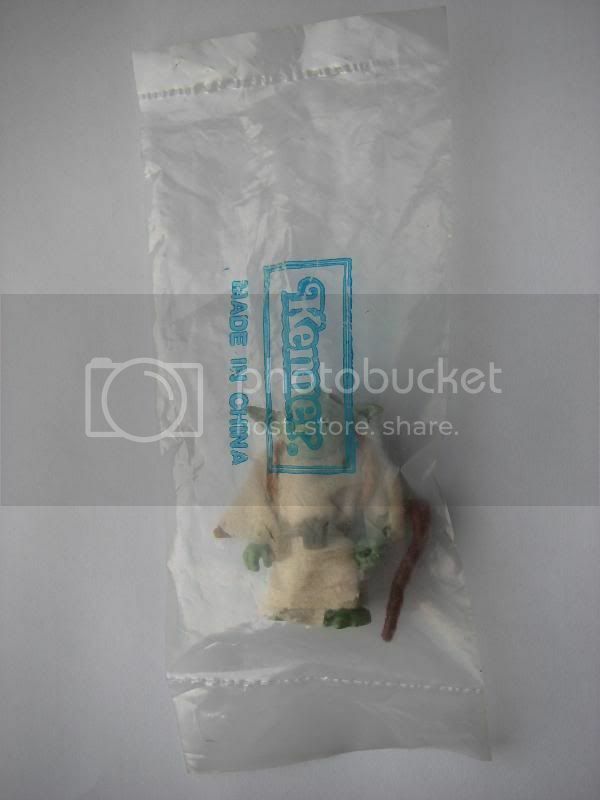 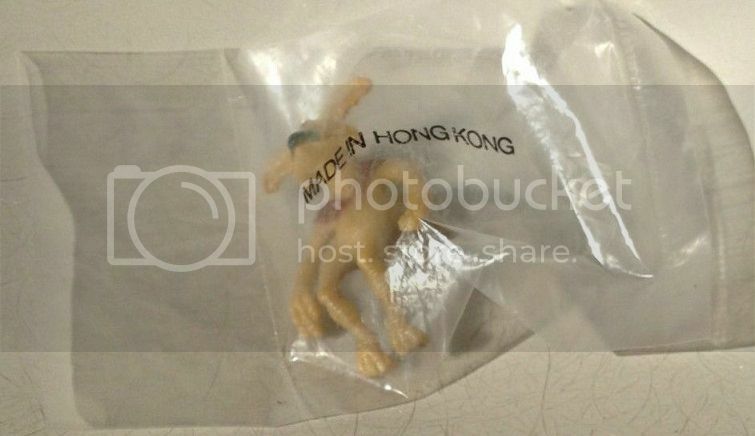 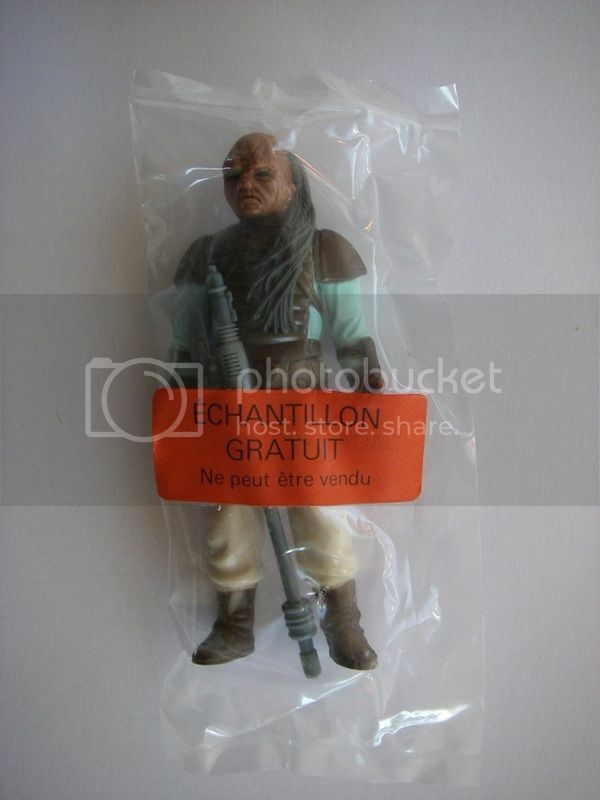 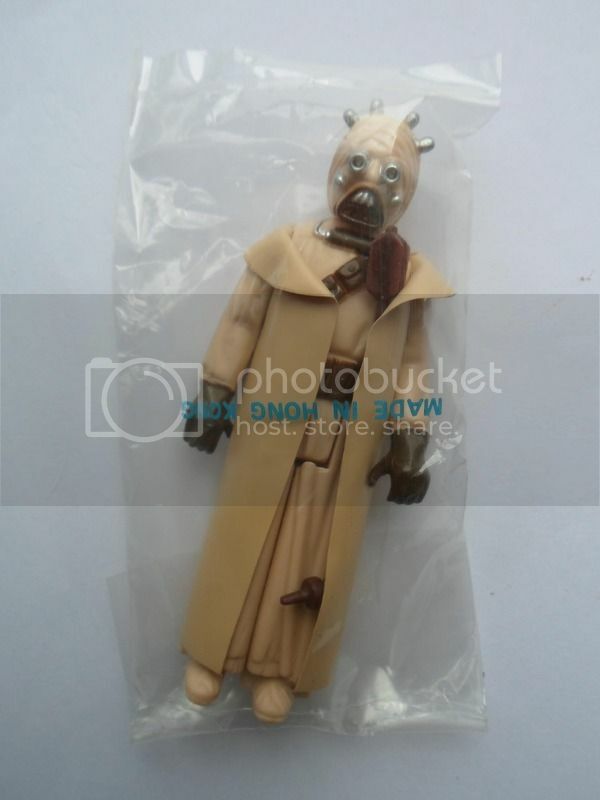 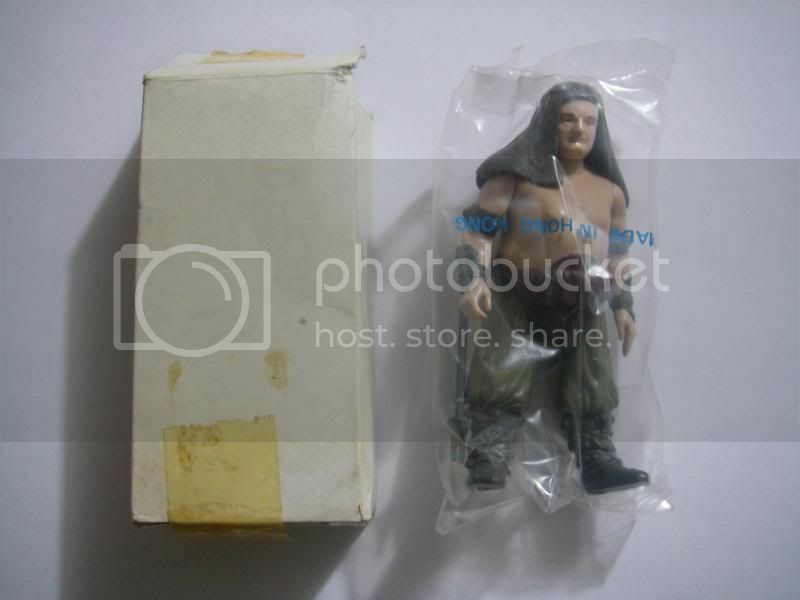 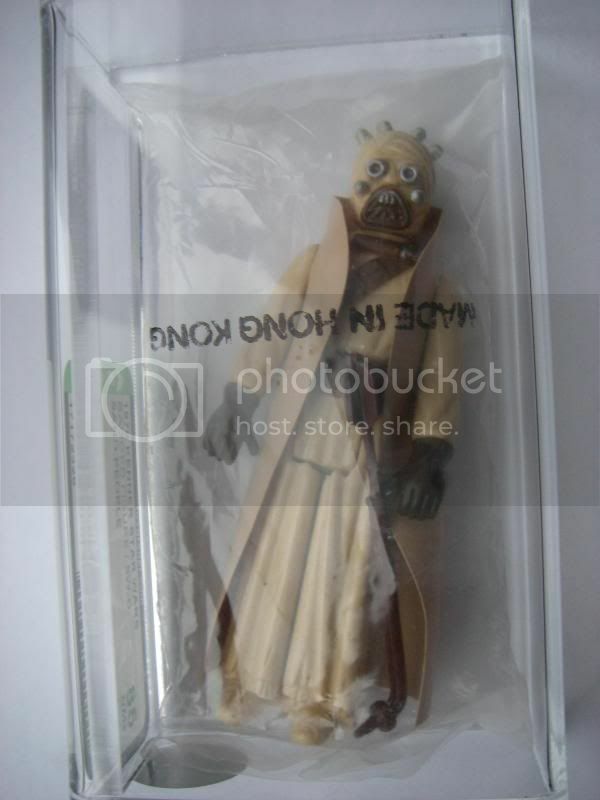 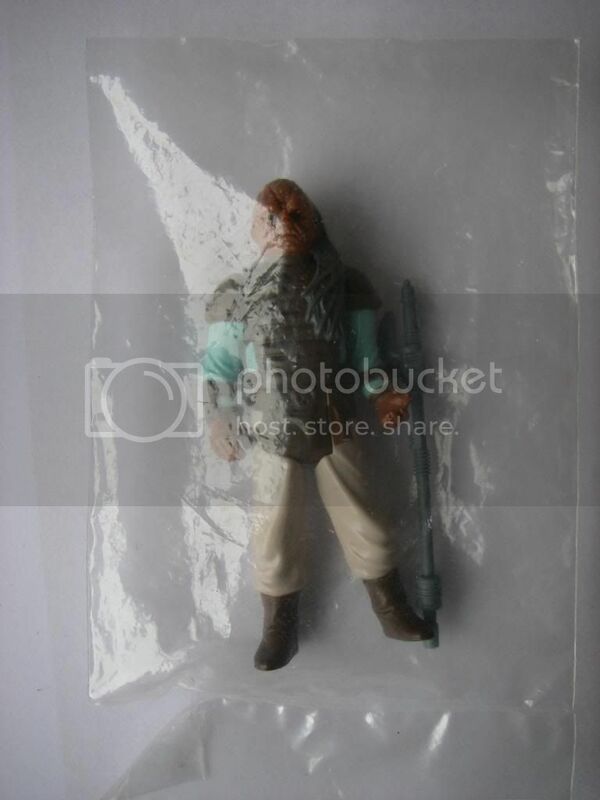 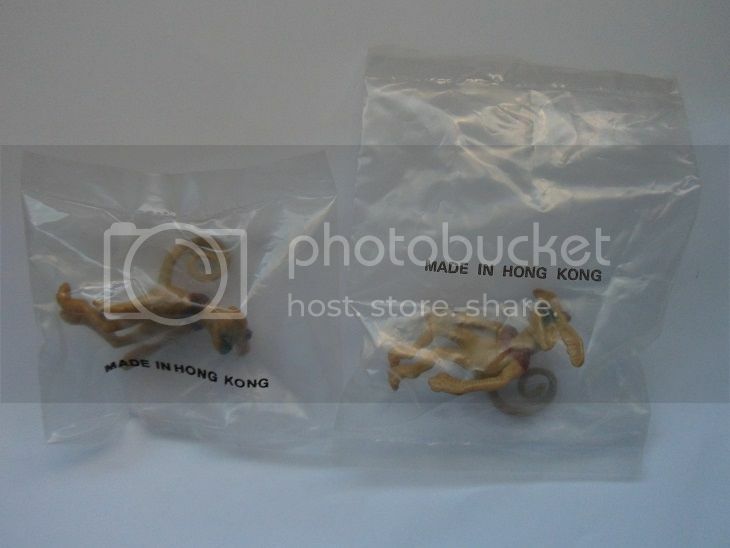 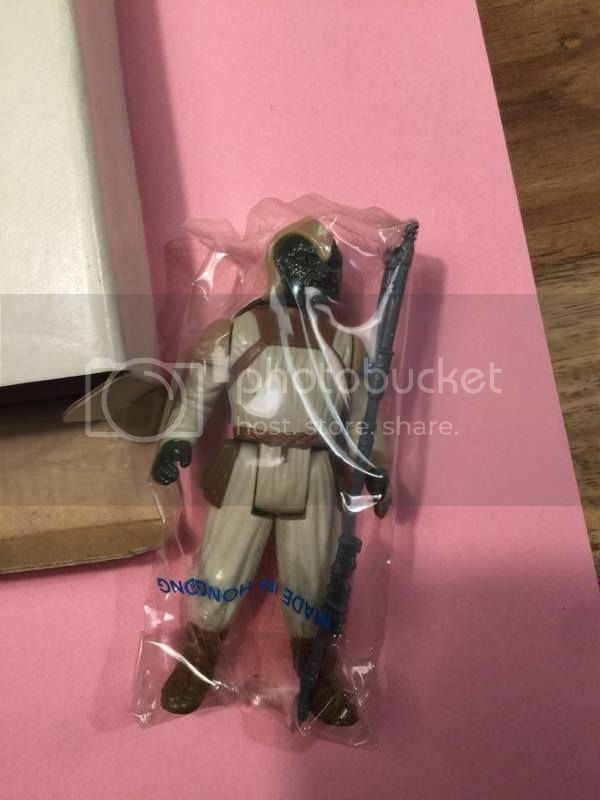 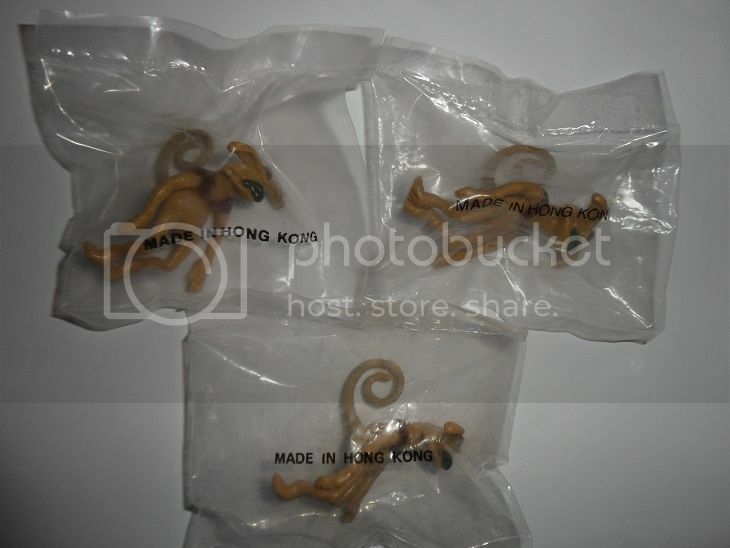 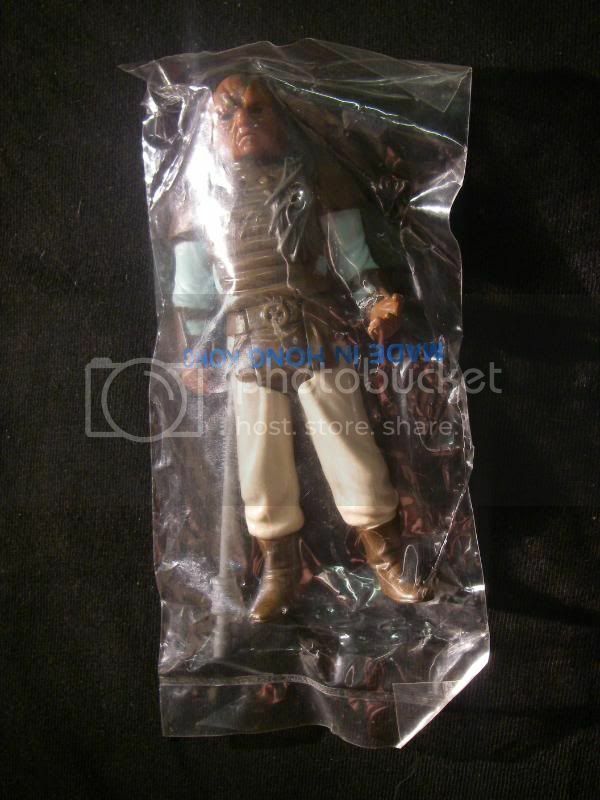 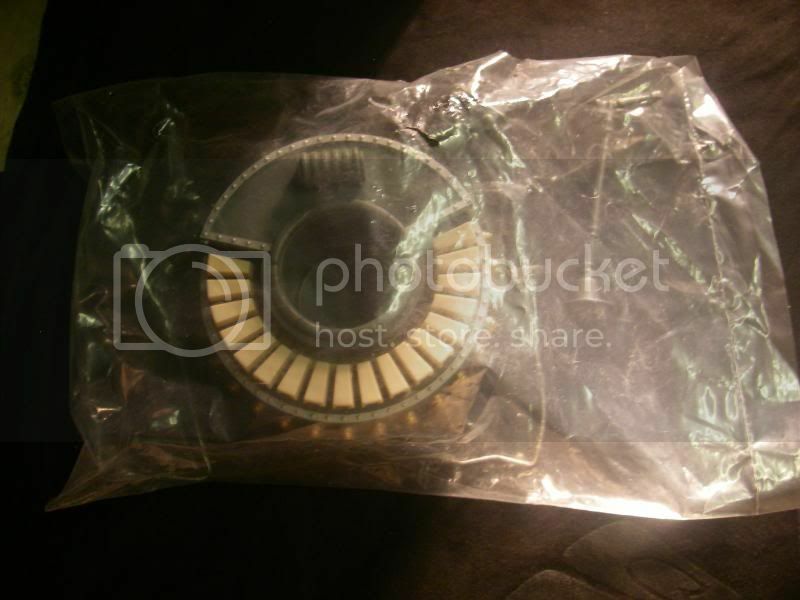 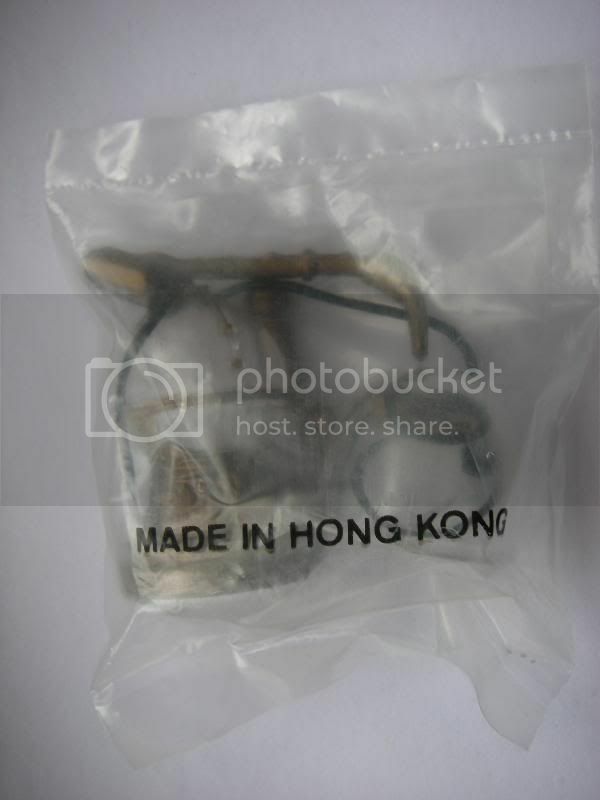 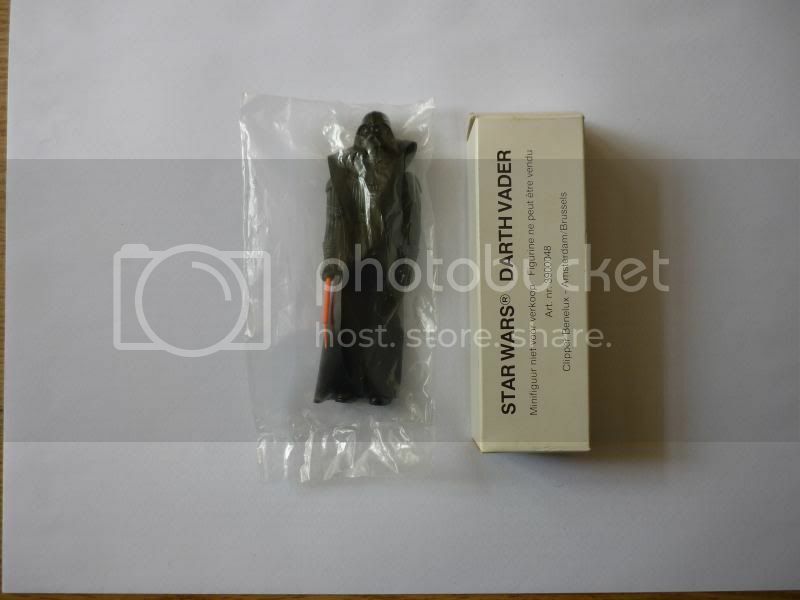 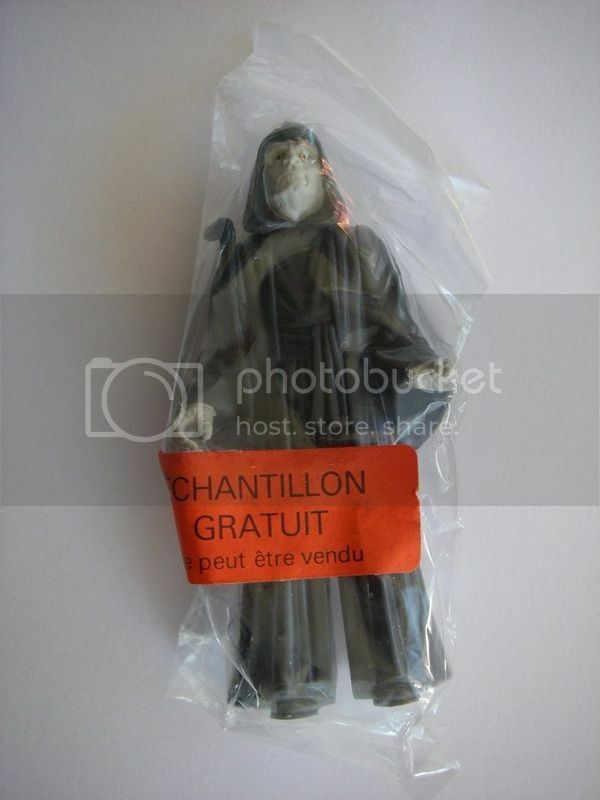 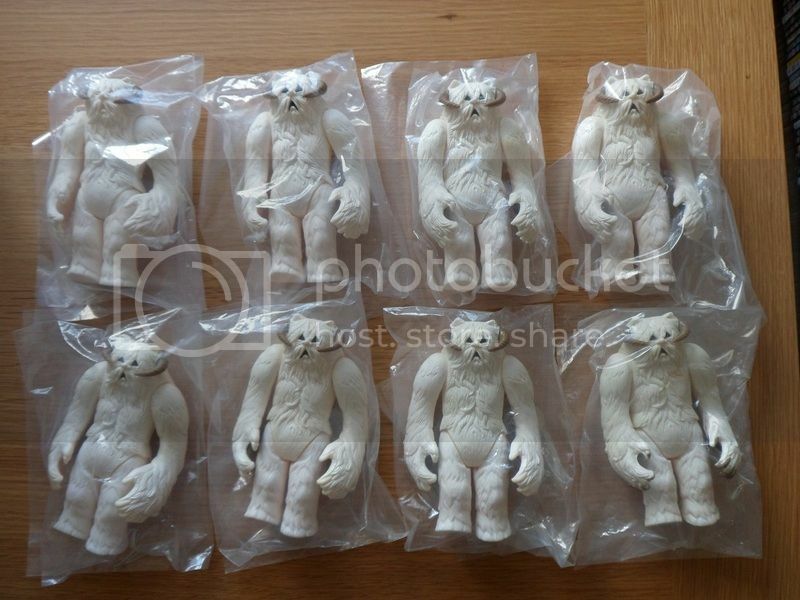 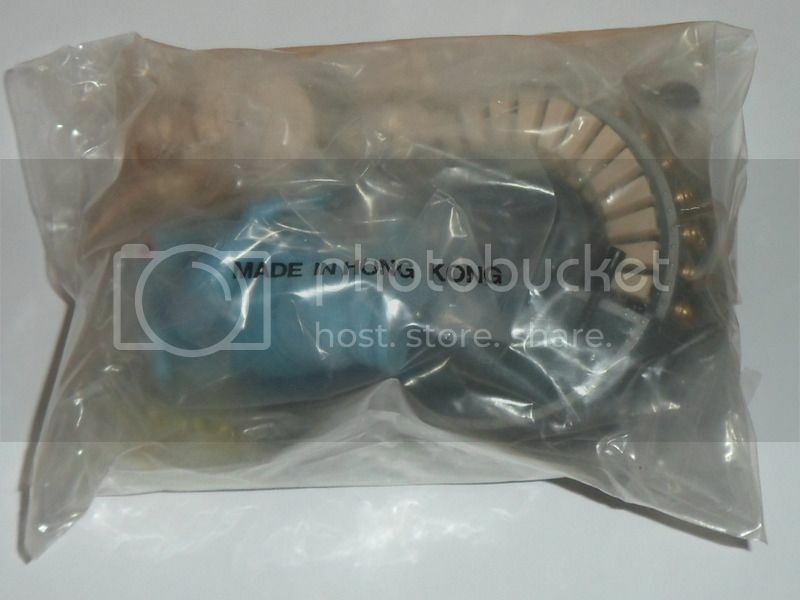 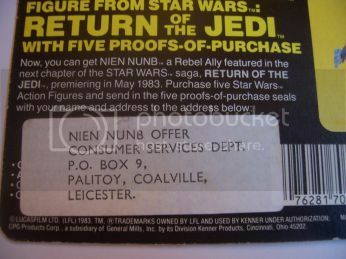 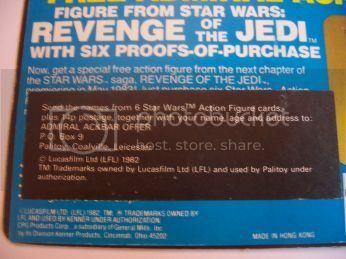 Sadly there is from what I have found so far, not one confirmed example of a sealed palitoy mailer out there for Dengar/Boba Fett or the Rancor Keeper or for that matter even a confirmed open example that can be looked at to confirm exactly which baggies or mailer box were used for these 3 figures, so for now at least a lot of the information regarding those 3 is speculation, so again if you have either a sealed mailer for one of these or have any information regarding them it would be greatly appreciated. 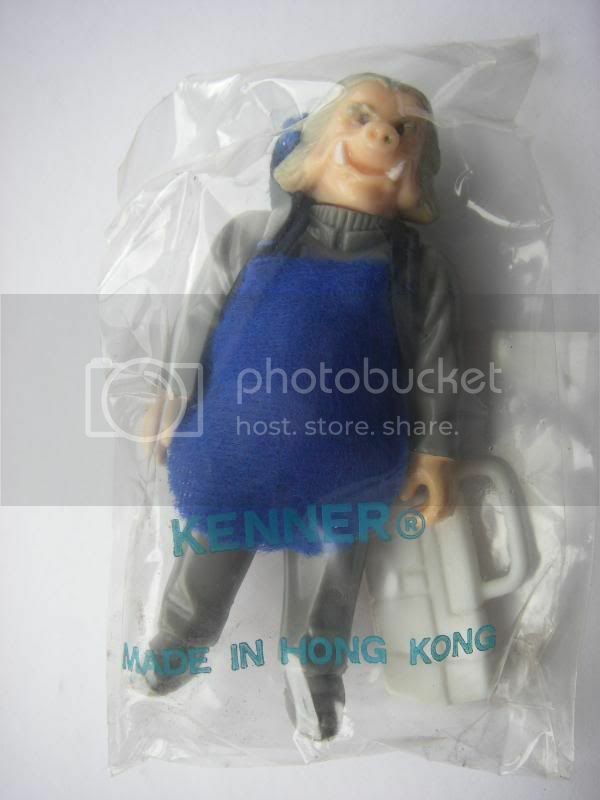 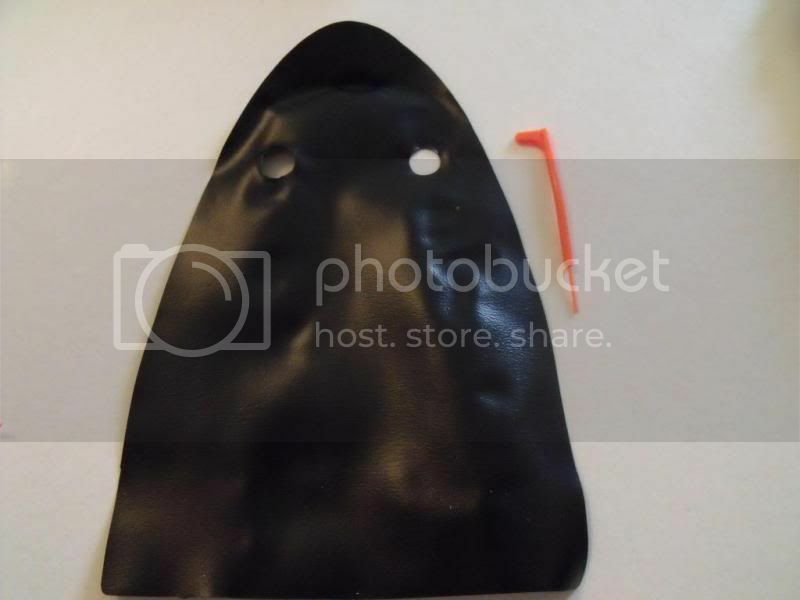 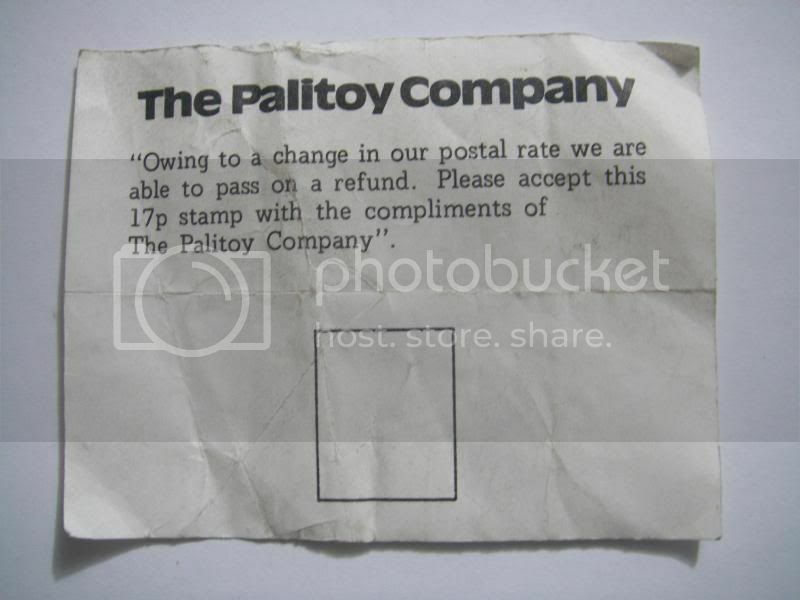 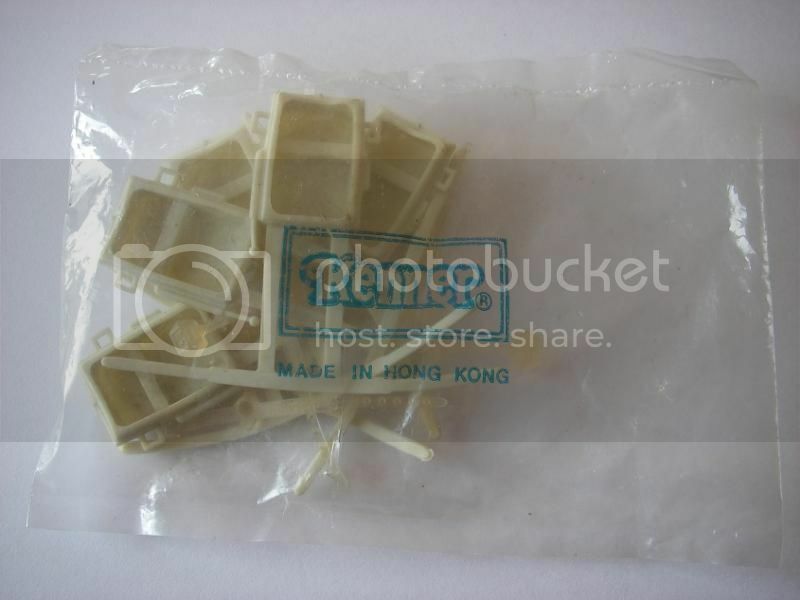 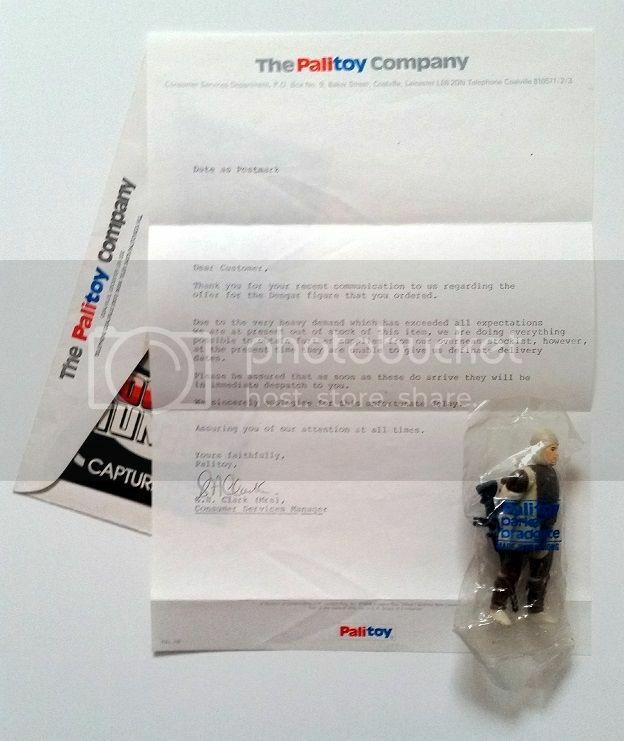 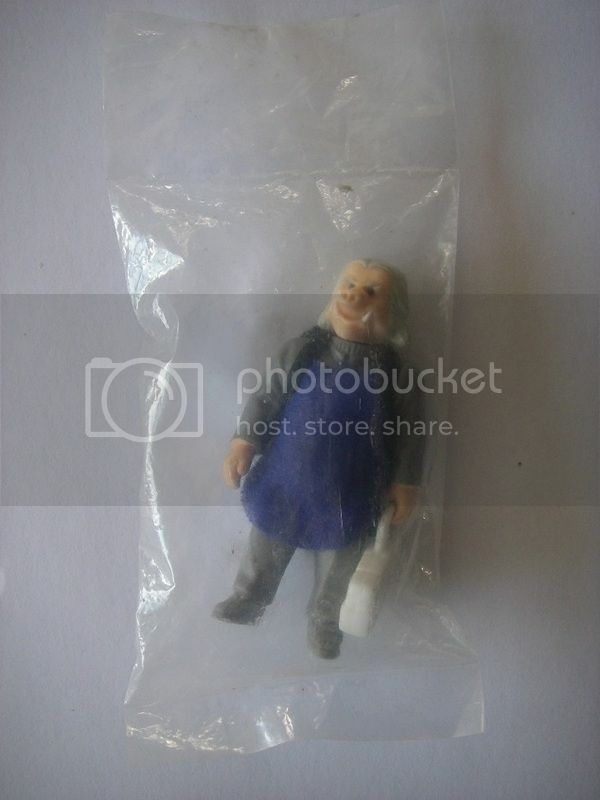 Palitoy mailers came as a plain white box with just the recipients address label & a bagged figure, no catalogs & paperwork like with there Kenner counterparts, each country had its own mail away issued figures & some were issued in several. 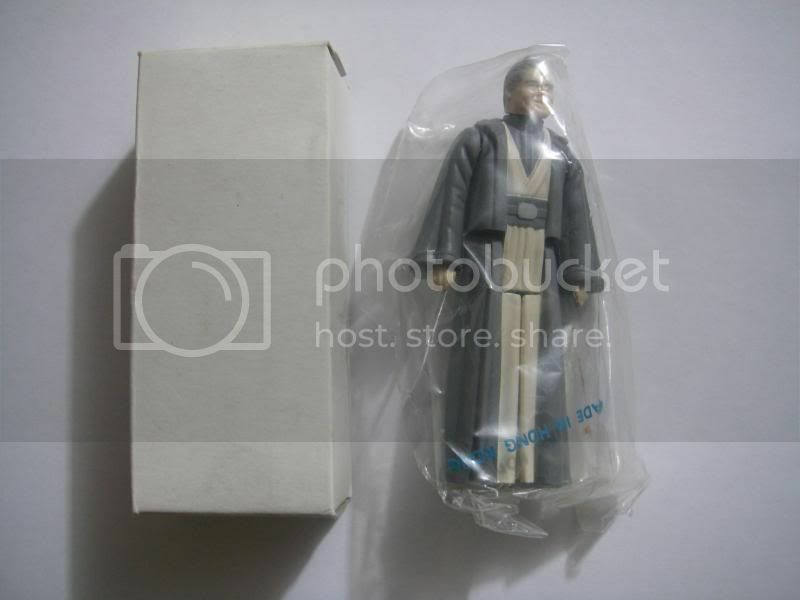 Anakin - The Anakin was an offer that went ahead in the States, but from what any of us can gather it never actually got as far as being offered up as a mail away promotion either here in the UK or In Oz, all the stock would seem to have been made & packed ready for the promotion to go ahead, yet (speculation) it would seem that due to the decline of the toy line through the POTF era they never actually got as far as doing the Anakin promotion outside of the U.S.
Not one addressed example of this mailer has ever turned up either in the UK or in Australia, no flayers/cardback stickers or wraparounds - nothing a total blank canvas, though we do know that the mailers have turned up sealed as overstock in the UK directly from Palitoy & also as overstock/dead stock in Australia. 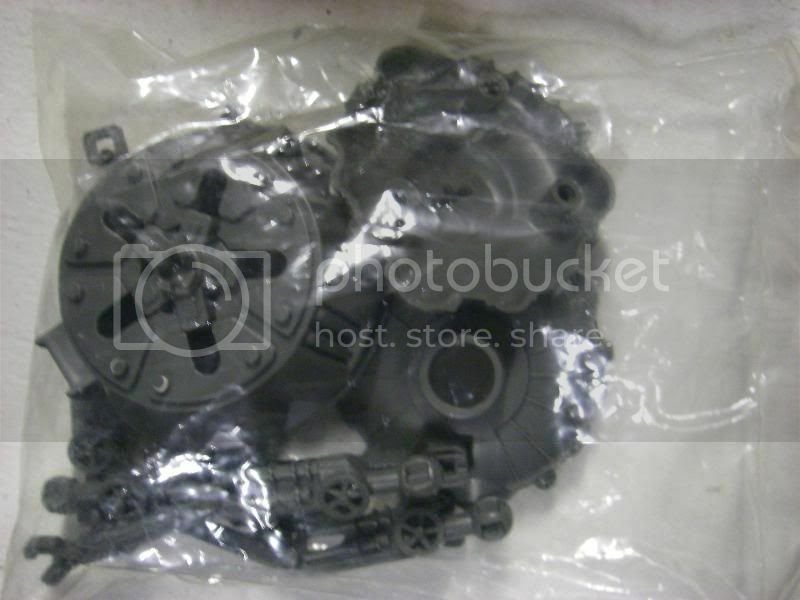 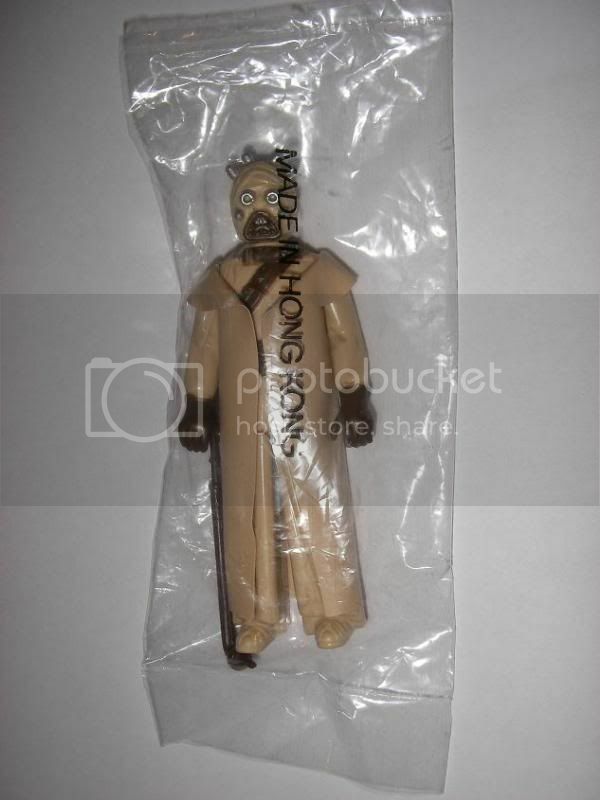 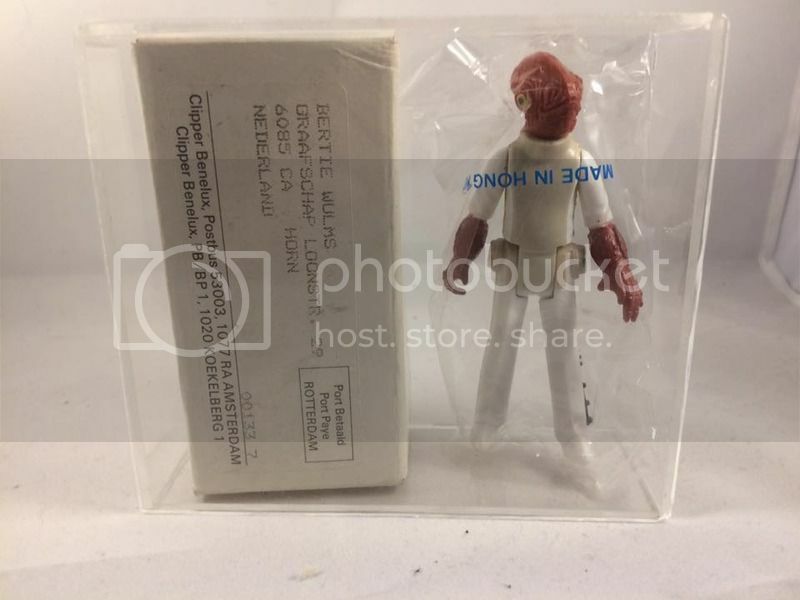 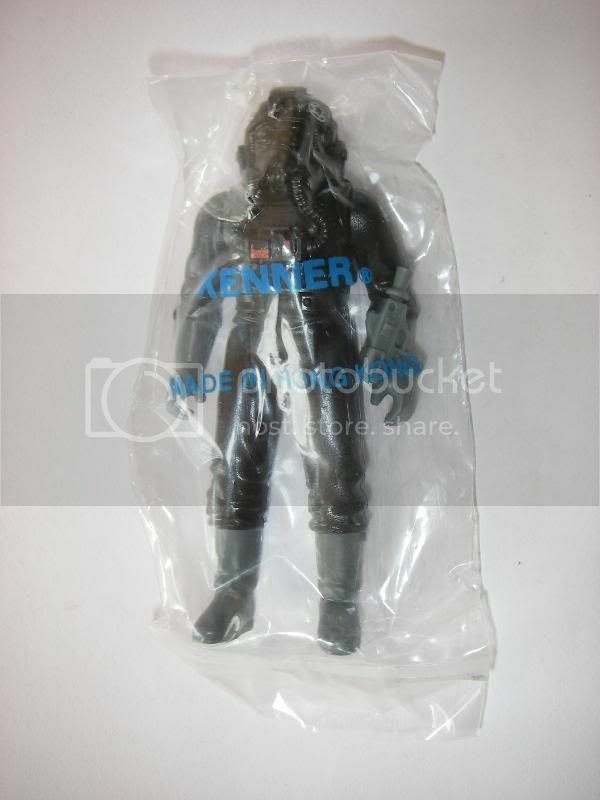 So in short it being labeled as TT's is no more wrong or right than it being labeled Palitoy, IMO they should be labeled as neither, but just graded as non kenner overstock Anakin mailers. 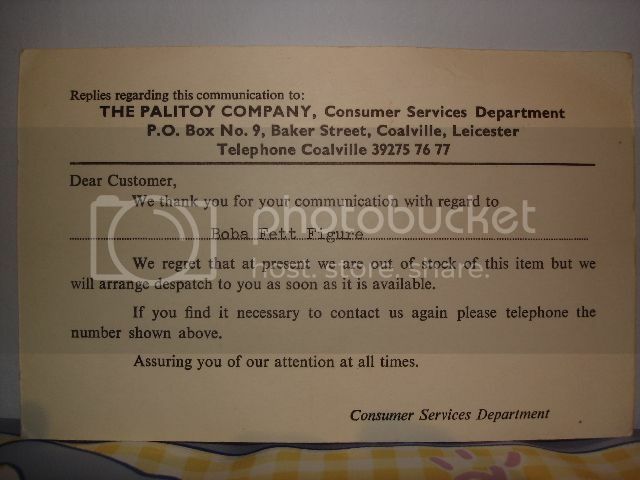 Palitoy-n - all these 3 examples came from the same shipping case, so I assume a new shipment of baggies came in halfway through packing the case & it was of no concern which baggie type came with the mailers back then & most likely not even considered at the time, though of great interest to myself now. 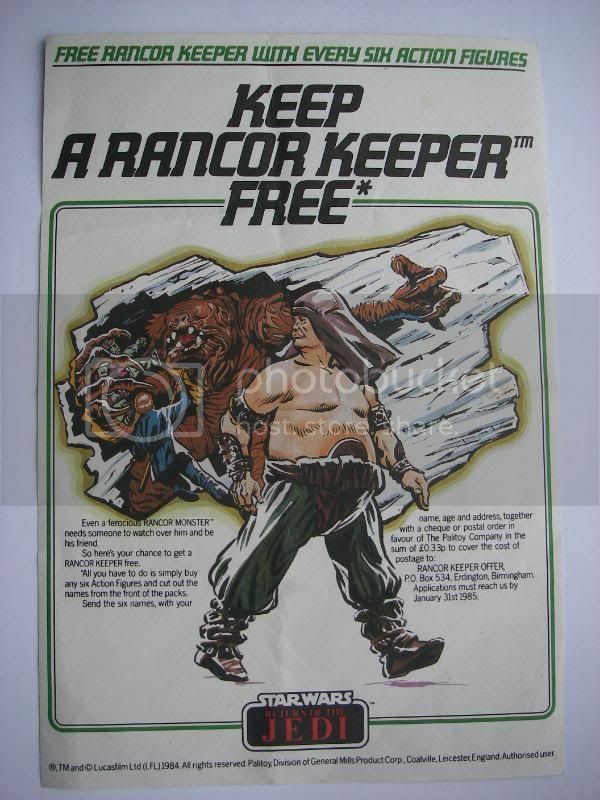 Rancor Keeper - again no sealed example has ever surfaced to date & I "think" I have the correct box for this one, but it can not be confirmed 100% EDIT 23/6/16 this is indeed the correct box as 2 sealed examples have been found to confirm it's authenticity, this is for me the ONLY mailer box I can confirm as correct for the RC, no addressed examples with the same dimension boxes have been found to date, some others are doing the rounds, but I am as yet unconvinced as to their authenticity. 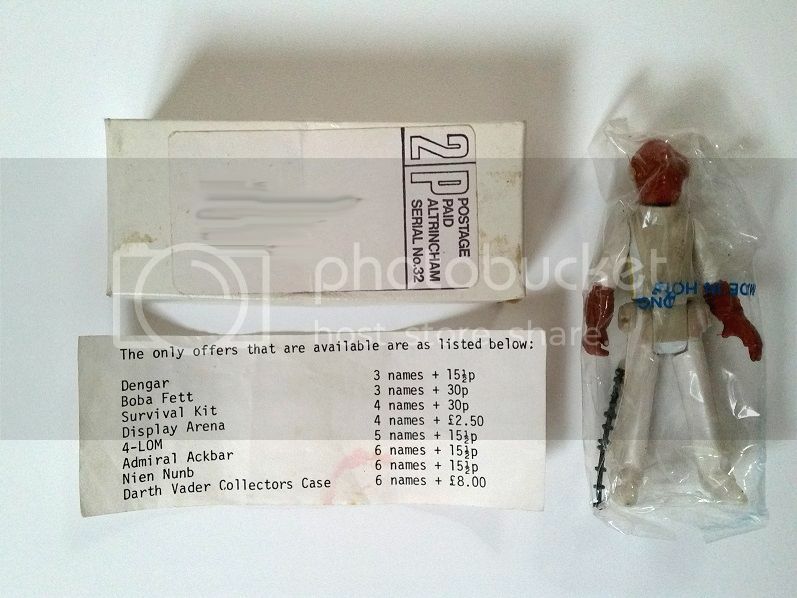 Refund of postage cost note, I have no confirmation of which figure this came with, but as it has been with me all my life, I can only surmise & speculate it came with the Dengar as that was the only mail away figure I got as a kid, I have never seen another one of these up for sale or in any collection & can only assume it came with Dengar as this was the only mail away figure I got as a kid. 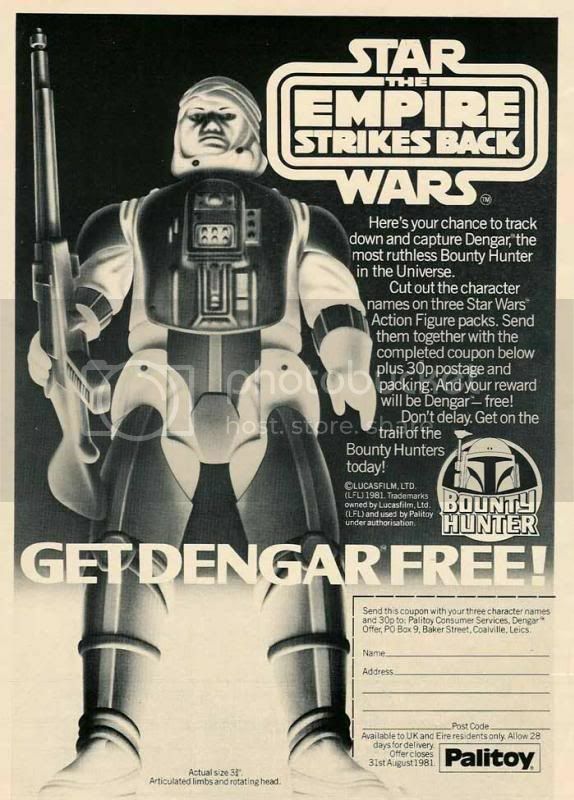 Flyers & comic book adverts for the above bar the Dengar which is already shown in the post above. 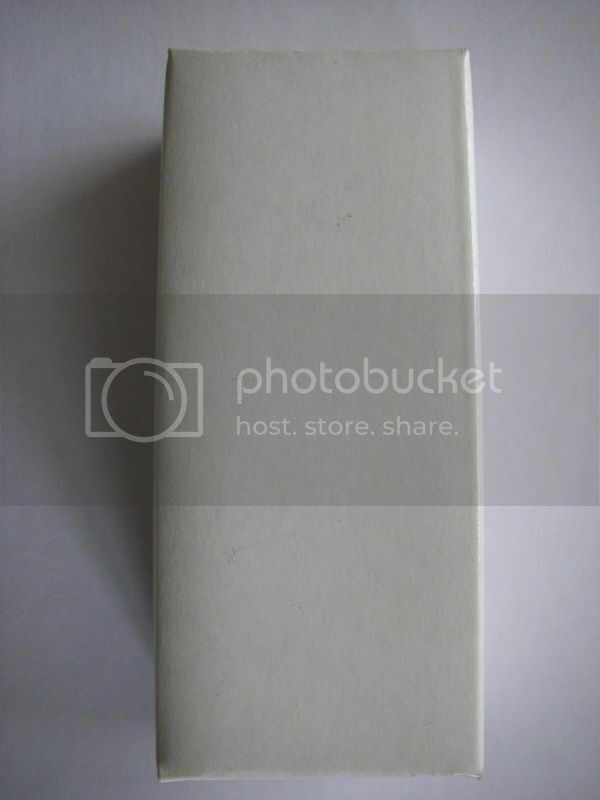 Last edited by Frunkstar on Thu Feb 07, 2019 11:52 pm, edited 20 times in total. 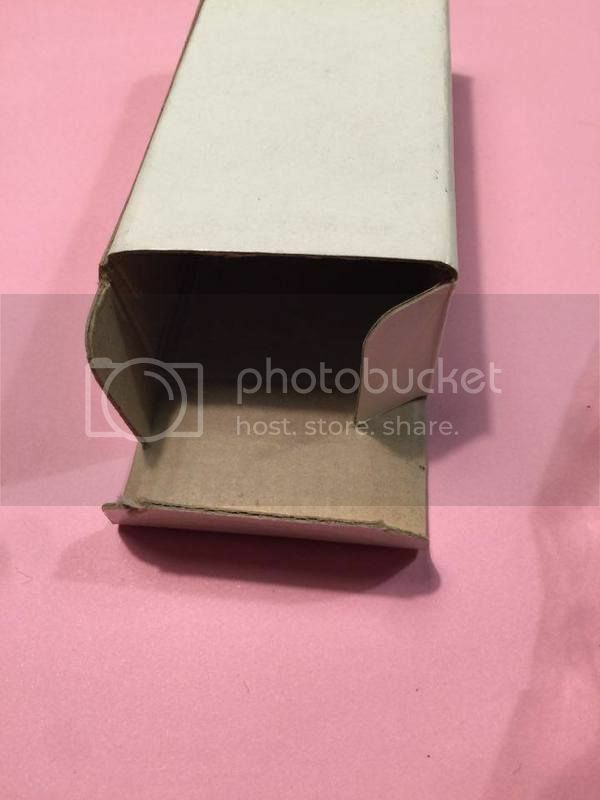 EDIT 11/02/15 - a further 3rd example of this mailer has now been found & confirmed with a no text baggie & plain white box (photos to come) I can only assume it is a clipper overstock box that never made it to being printed for postage? 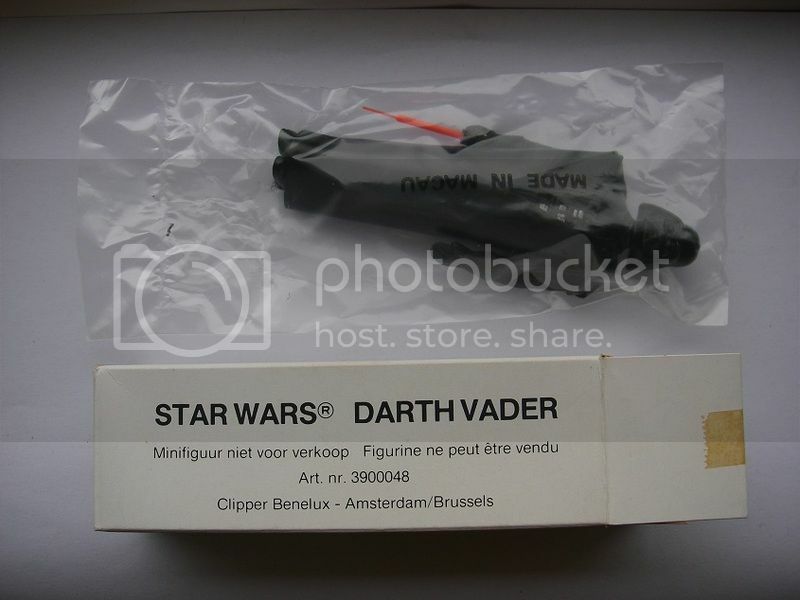 It is also worth noting that the clipper vader came with a thicker textured cape in the plain text baggie but not the made in Macau & a thick tip saber in both. 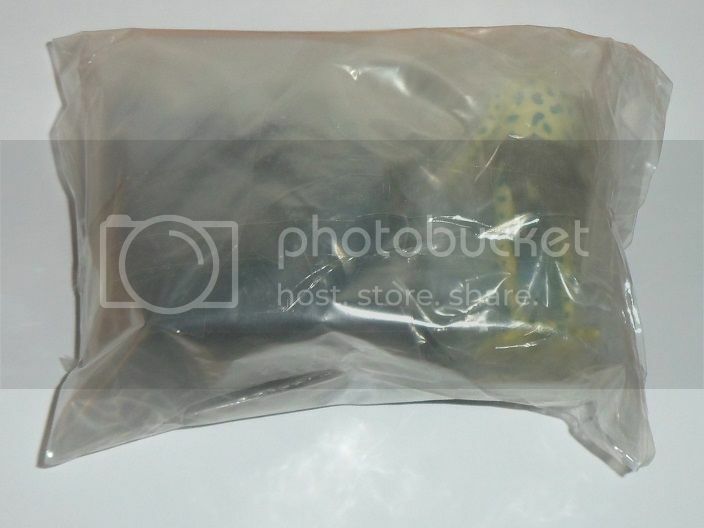 Last edited by Frunkstar on Thu Feb 07, 2019 9:12 pm, edited 7 times in total.